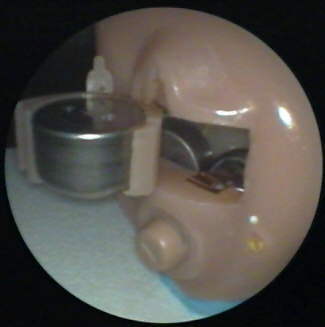 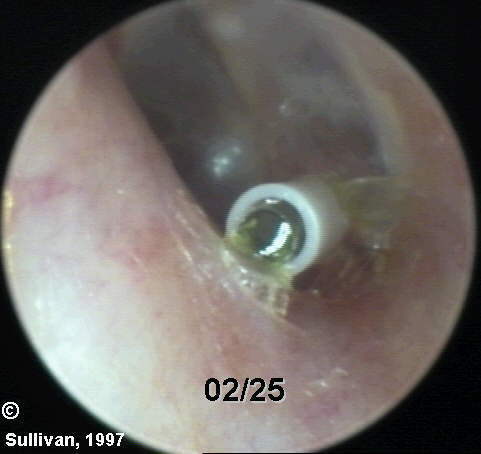 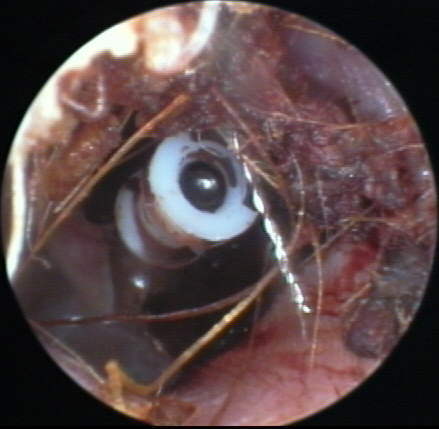 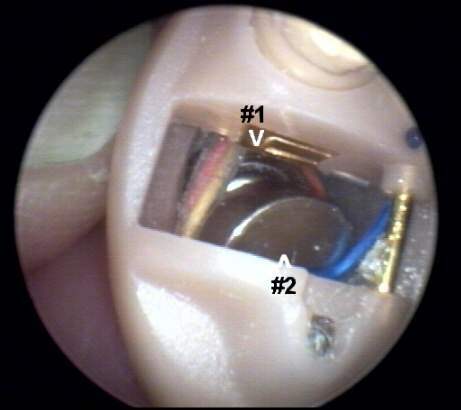 Audiology Forum: VIDEO OTOSCOPY; Roy F. Sullivan, Ph.D.
< Click here for sidebar index. 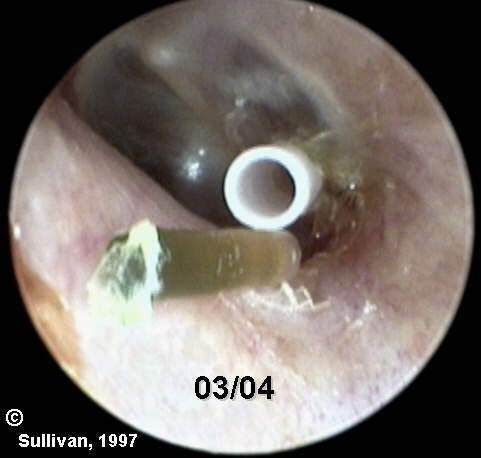 Roy F. Sullivan, Ph.D. and Carol A. Sullivan, M.S., Inc. 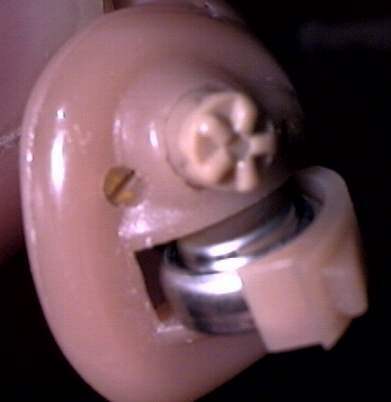 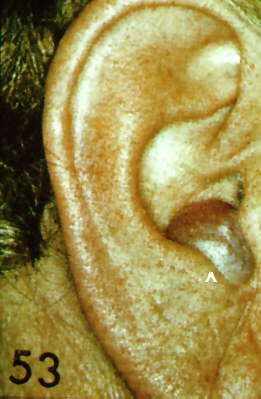 The material on these pages has been composed for viewing audiologists who are solely responsible for the audiological care of their own patients and are strongly urged to maintain close liaison with the ENT and primary care physicians who provide medical care to these individuals in their own community. 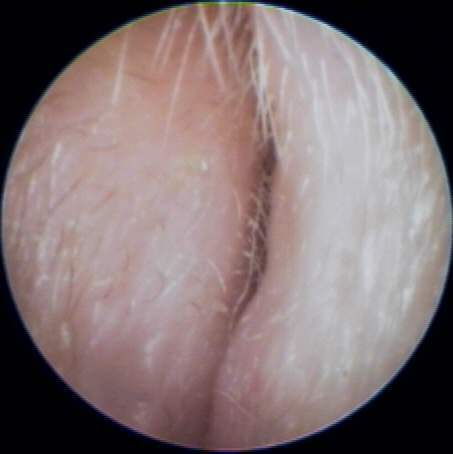 All queries of a medical nature must be directed to these physicians. 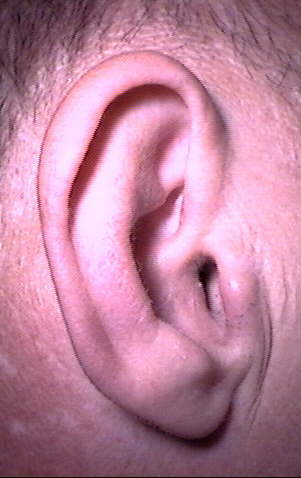 The author accepts no direct or implied responsibility for the application of information contained herein. 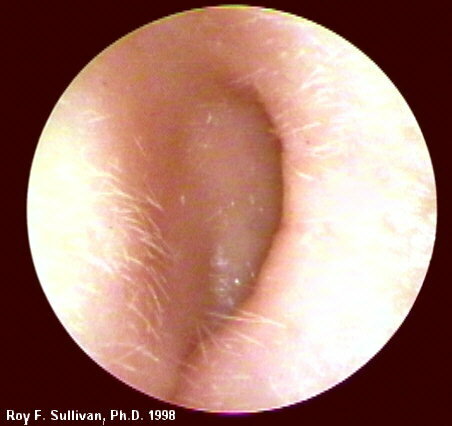 Images or text [© 1995 - 2016 Roy F. Sullivan, Ph.D.] may NOT be reproduced for publication or commercial purposes without written permission of the author. 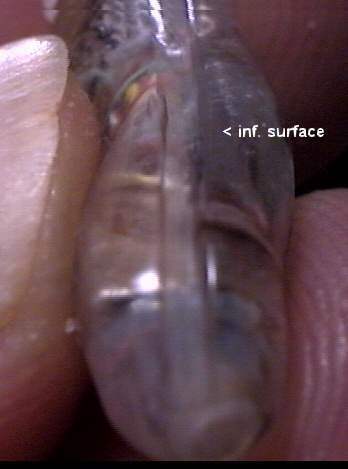 Image and text pages contain copyright watermarks in source code. 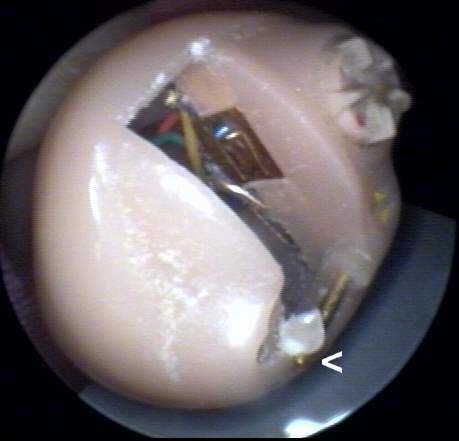 Yankton Medical Clinic; Yankton, SD. 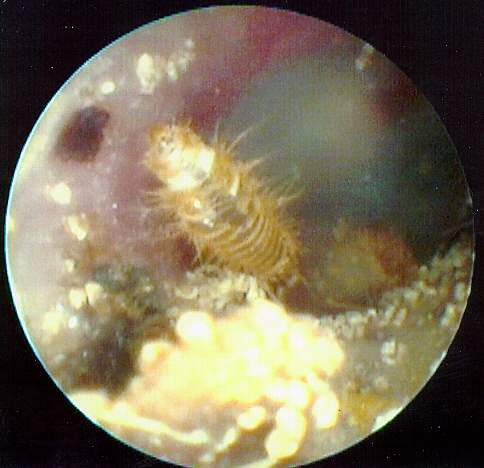 by Roy F. Sullivan, Ph.D.
SEARCHING FOR INFORMATION ON THE WORLD WIDE WEB. 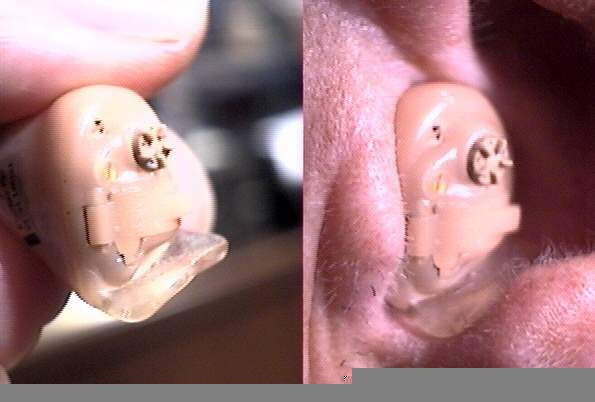 This on-line article is an updated version of a course presentation at the American Academy of Audiology convention, Los Angeles, April 3, 1998. 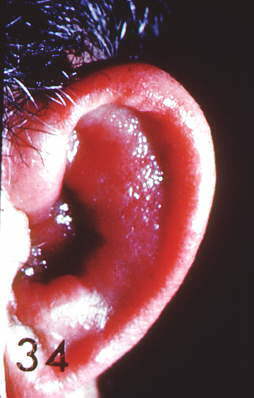 It was originally published in HEARING JOURNAL; Volume 51, No. 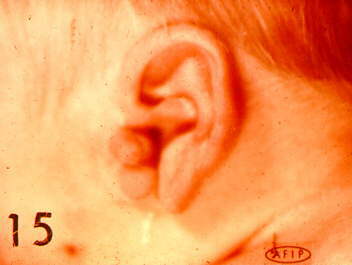 6, June, 1998, pp. 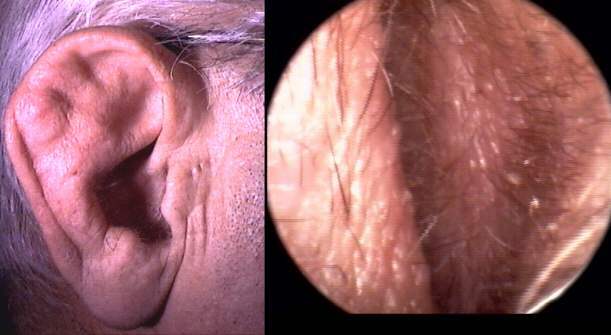 34-39. 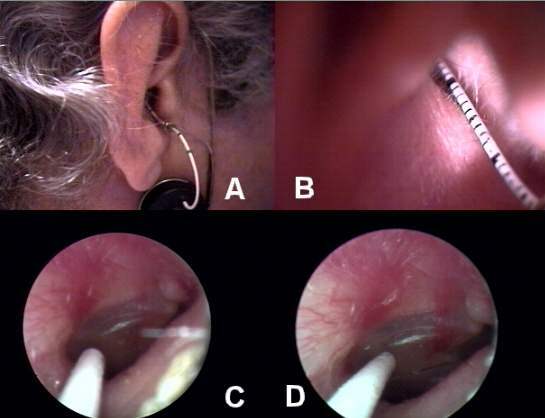 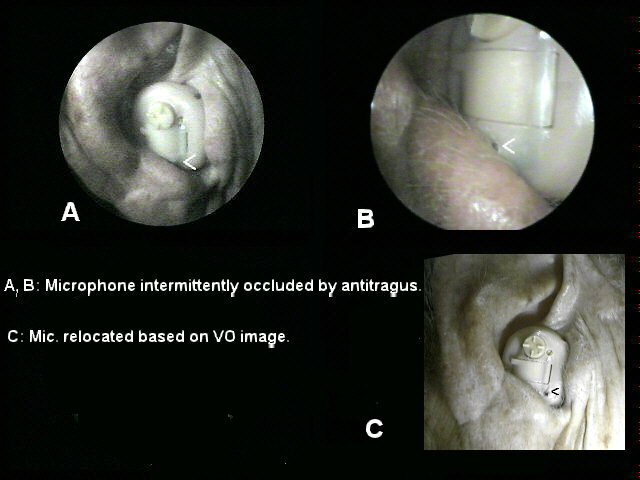 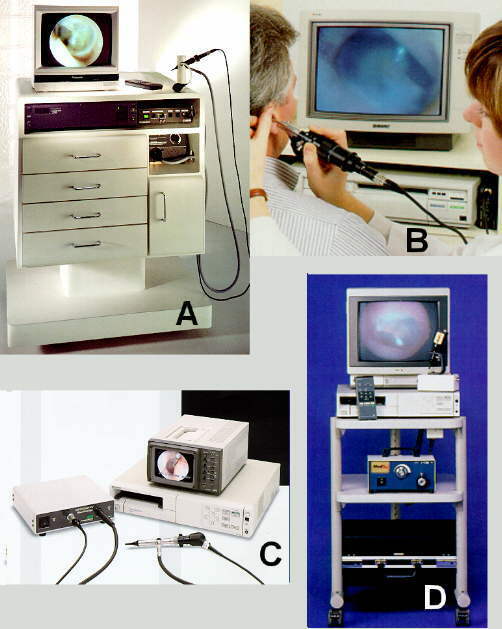 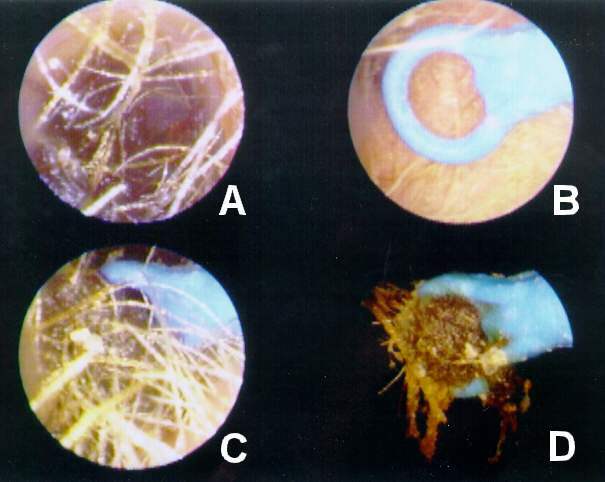 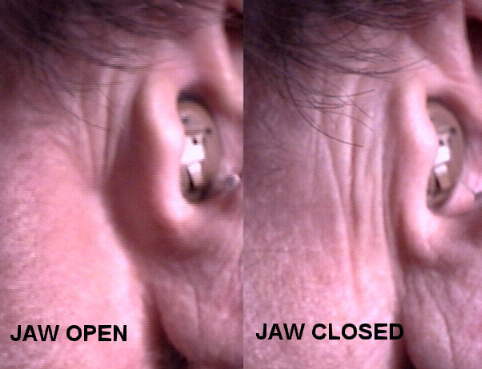 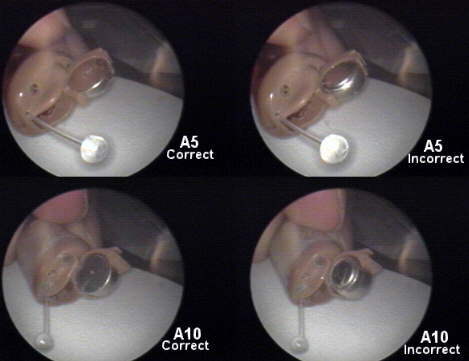 "VIDEO OTOSCOPY IN AUDIOLOGIC PRACTICE"
A variable split-frame presentation of the 1997 JAAA article with all original color illustrations replacing B&W figures in the print version. 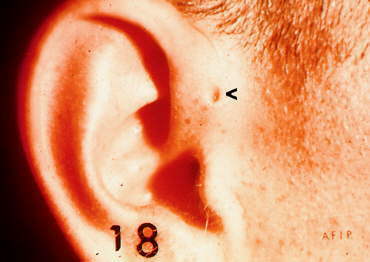 This article appeared in JOURNAL AMERICAN ACADEMY OF AUDIOLOGY, Volume 8, #6, December, 1997 pp. 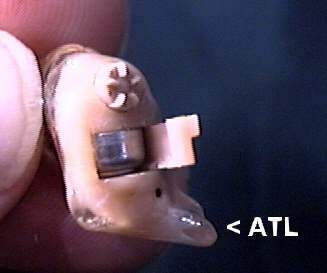 447-467. 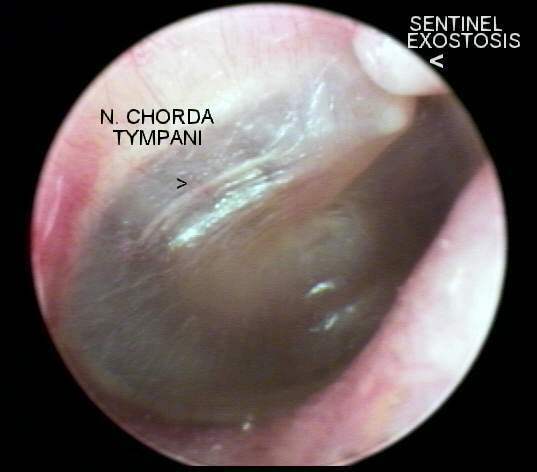 NEW A MARGINALLY USEFUL EXCITE TEXT-BASED SEARCH ENGINE FOR THE ENTIRE VIDEO OTOSCOPY WEBSITE. 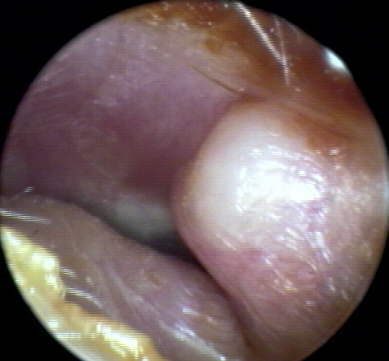 NEW GOOGLE SEARCH ON "VIDEO OTOSCOPY" produces more than 800 references. 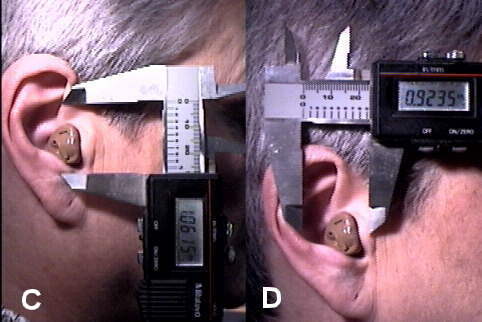 NEW Navigation sidebar for screens with the recommended 1024 X 768 resolution. 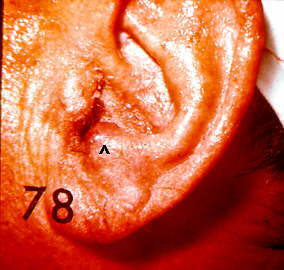 A comprehensive, high level graphic, photographic and text exposition by Mark Levenson, M.D. 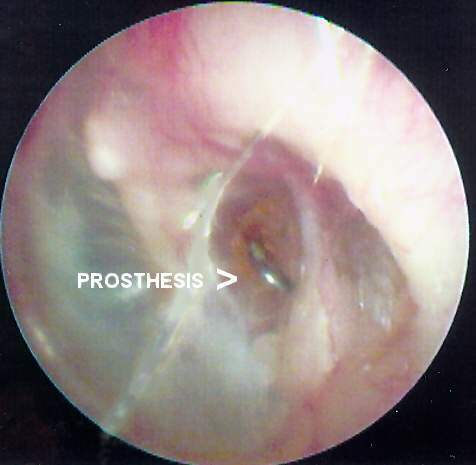 on otic conditions requiring surgery. 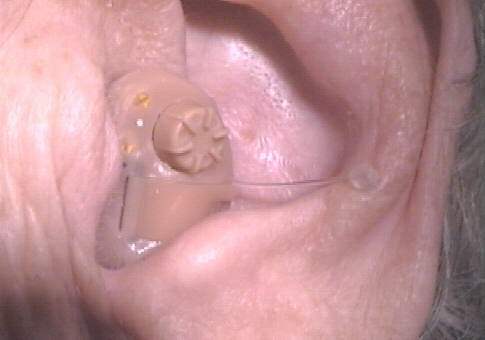 While designed for the consumer, it bears significant merit for the non-ENT hearing health professional. 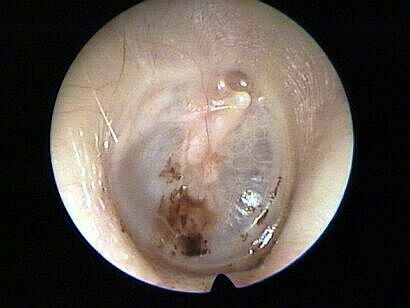 Worthy of detailed inquiry. 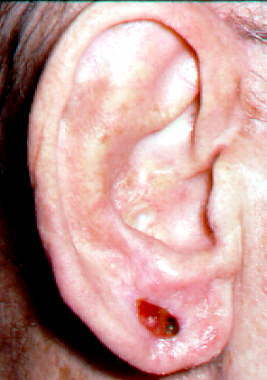 Ear Surgery Information Center: www.earsurgery.org. 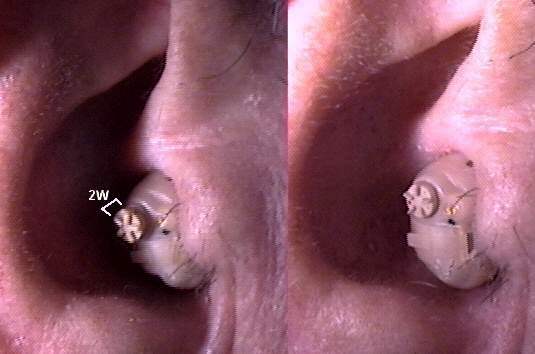 Highly recommended graphic tutorial on auditory neuroanatomy by J. Sundstrom, Ph.D. and K. Mulligan, Ph.D.;University of Washington. 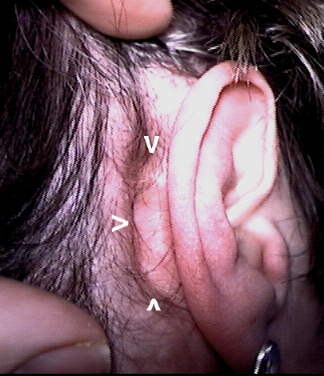 Neuroanatomy Interactive Syllabus; Chapter 7: Auditory System. 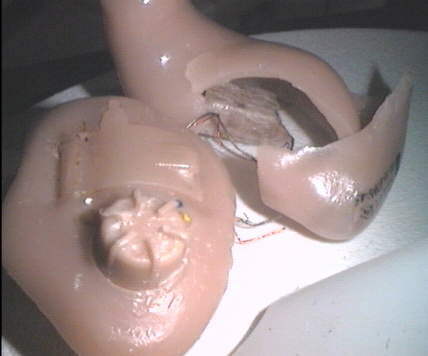 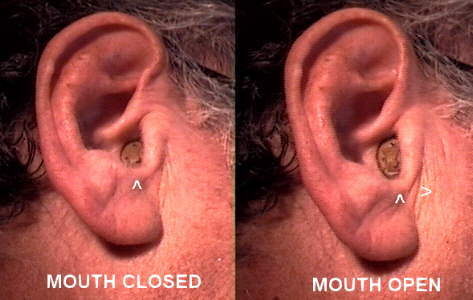 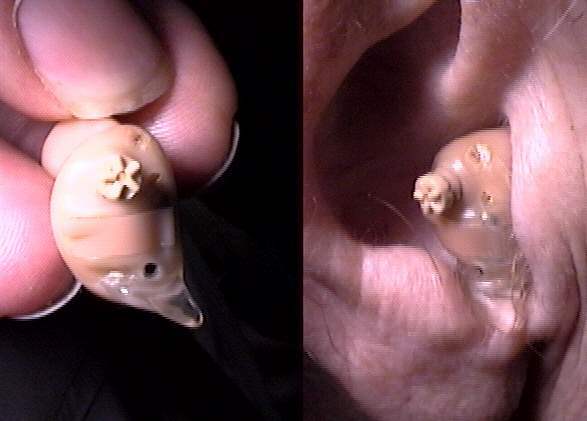 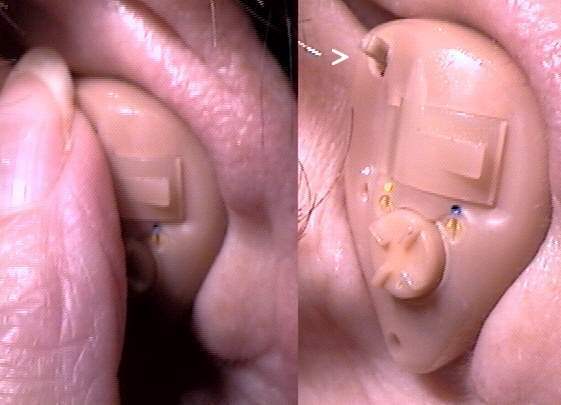 See also the auditory anatomy tutorial EAR WORKS from the Department of Neurophysiology of the University of Wisconsin. 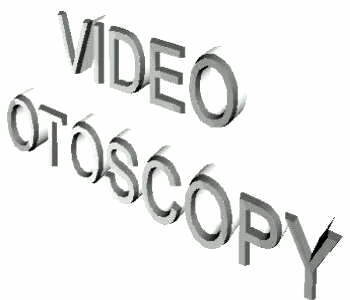 Excellent Internet resource comparing video capture cards, updated May, 2001: http://www.videoguys.com/roundup.htm. 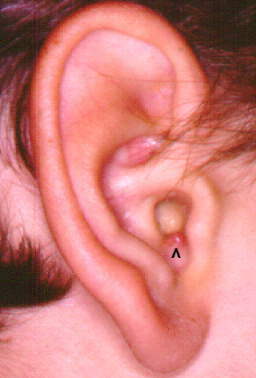 Ear structure and function; CT appearance. 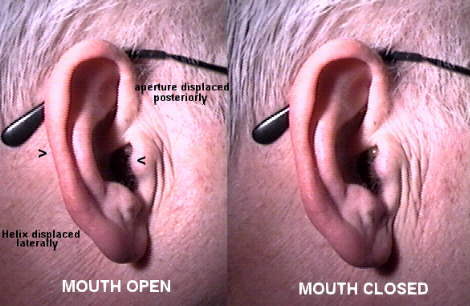 A tutorial for technologists created in 1988, and updated since that time, from South Bank University, U.K. http://www.sbu.ac.uk/~dirt/museum/ear_ct.html . 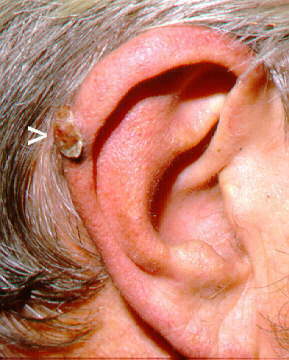 (A) Keloid, sup. 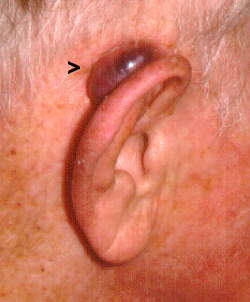 AD pinna (college boxing); (B) AS unaffected. 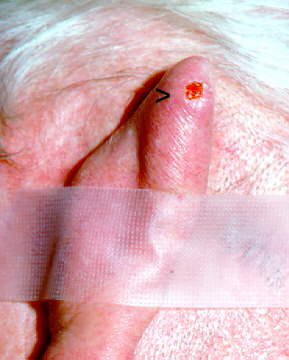 Chondrodermatitis nodularis helicis, AD(19k).....CASE STUDY (WARR0815). 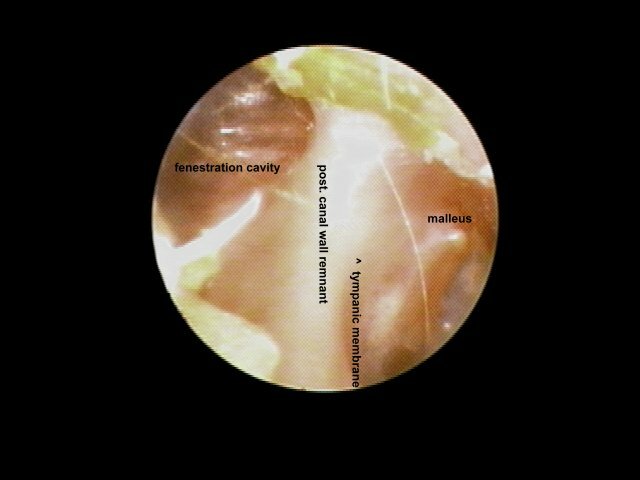 Collapsed canal at concha-meatal junction, AS(13k).....CASE STUDY (GUTL0420). 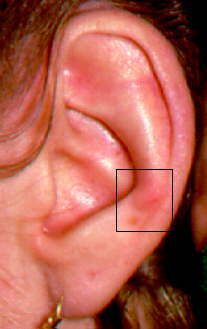 section, above. 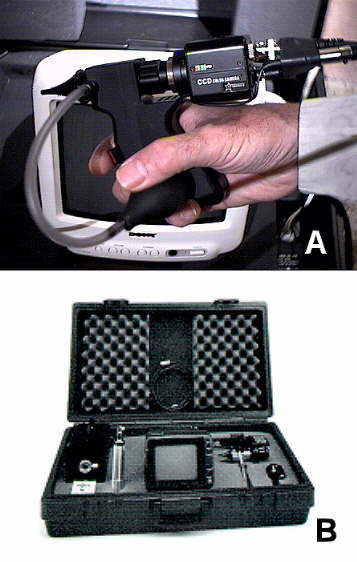 Online anonymous scoring feedback is provided to the quiz-taker. 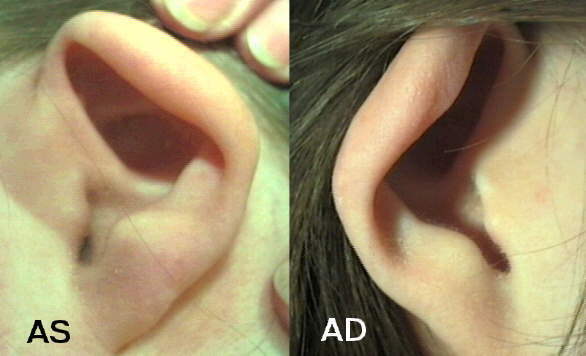 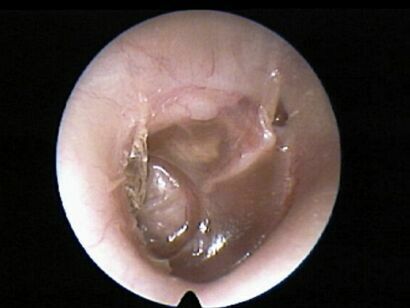 Otitis Externa, acute, aided ear, AD(23k).....CASE STUDY (WARR0815). 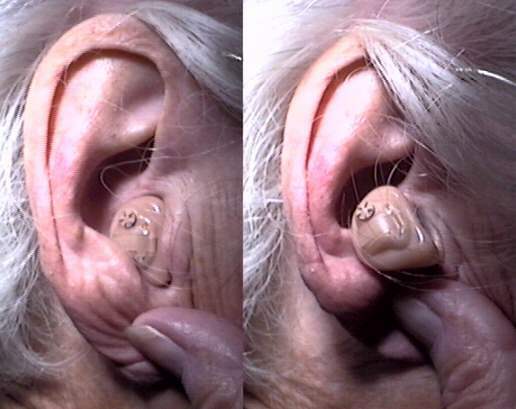 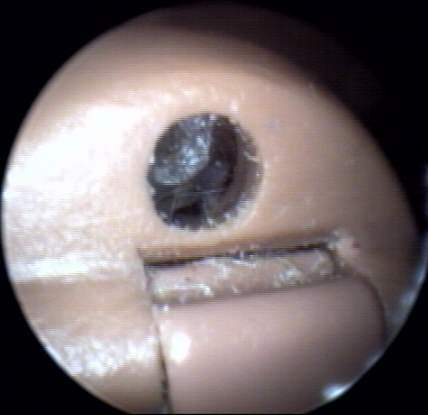 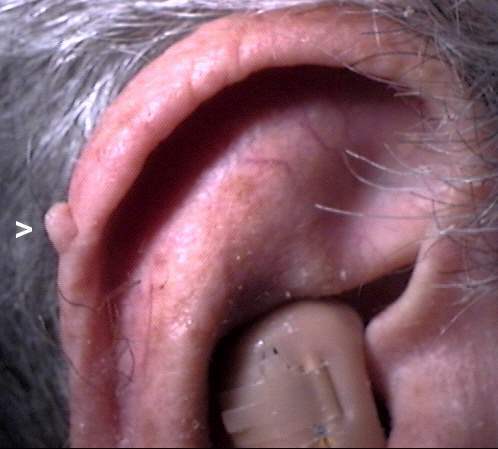 Desquamation web inhibits hearing aid insertion...CASE STUDY (BYU1) Courtesy of Richard W. Harris, Ph.D., Brigham Young University; Provo, UT. 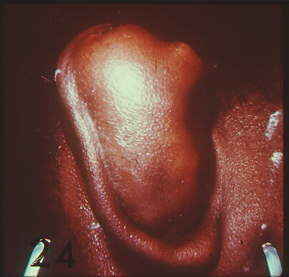 Insect (ant) in EAM, AD Courtesy of Vladimir Zlinsky, M.D., ORL Clinic, Czech Republic. 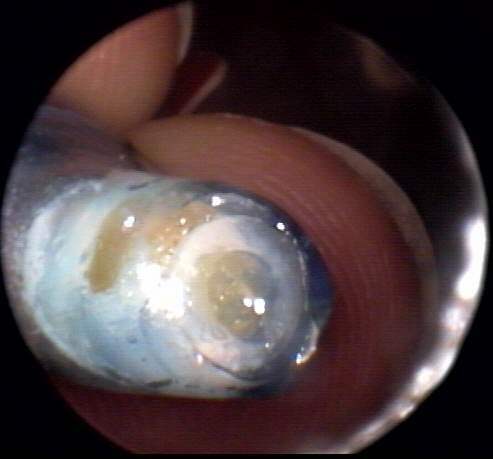 Glass shard near TM...CASE STUDY (BYU2) Courtesy of Richard W. Harris, Ph.D., Brigham Young University; Provo, UT. 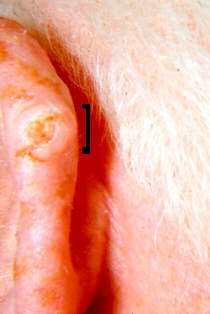 Cholesteatoma Courtesy of Vladimir Zlinsky, M.D., ORL Clinic, Czech Republic. 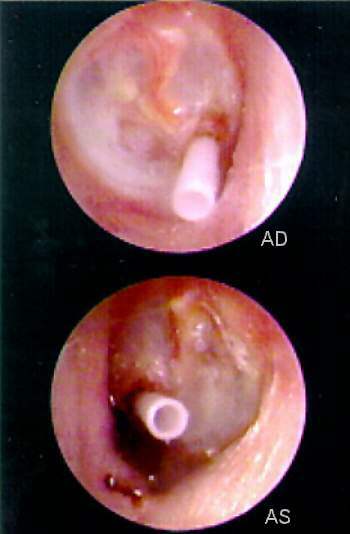 OM secretory, AD Courtesy of Vladimir Zlinsky, M.D., ORL Clinic, Czech Republic. 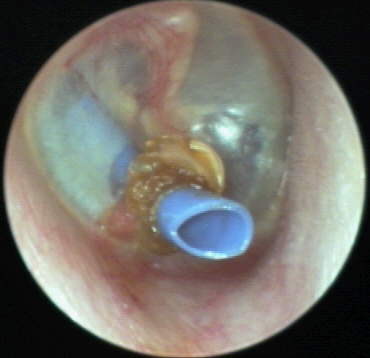 OM secretory, AS Courtesy of Vladimir Zlinsky, M.D., ORL Clinic, Czech Republic. 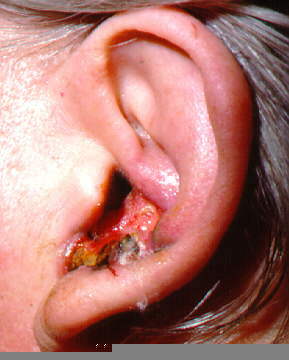 Otitis media, acute (1) AD Courtesy of Vladimir Zlinsky, M.D., ORL Clinic, Czech Republic. 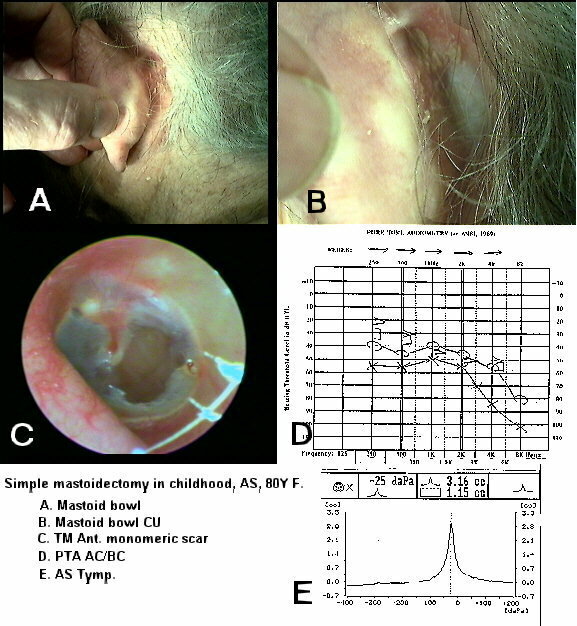 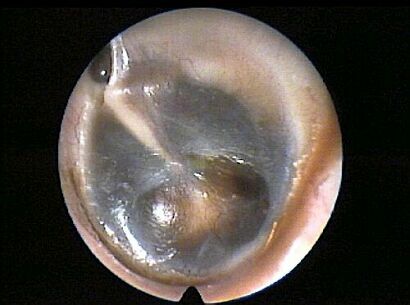 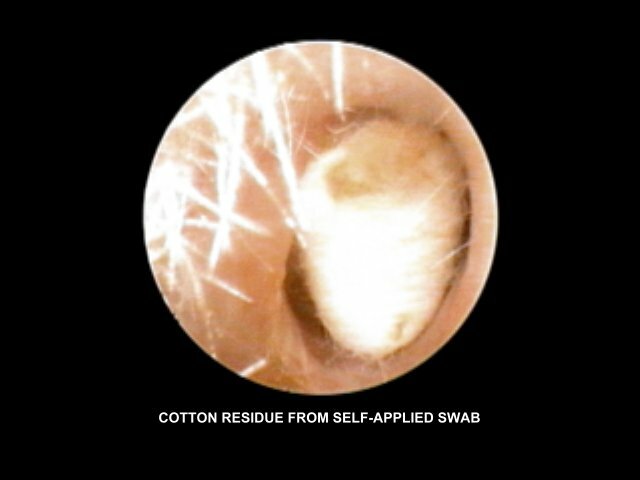 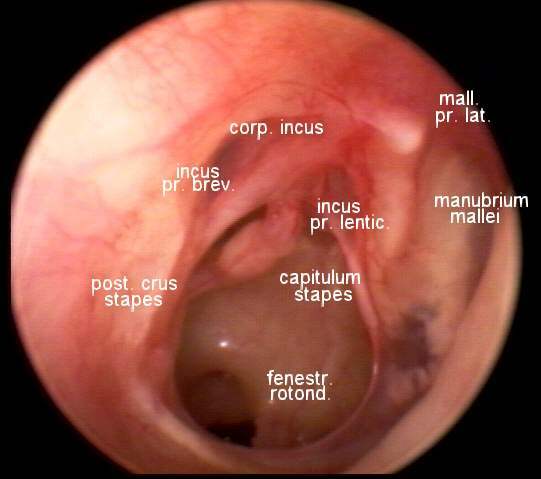 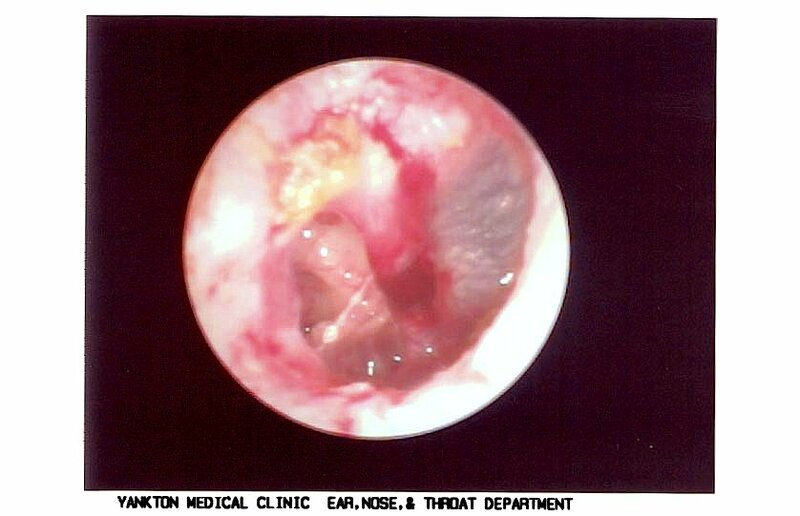 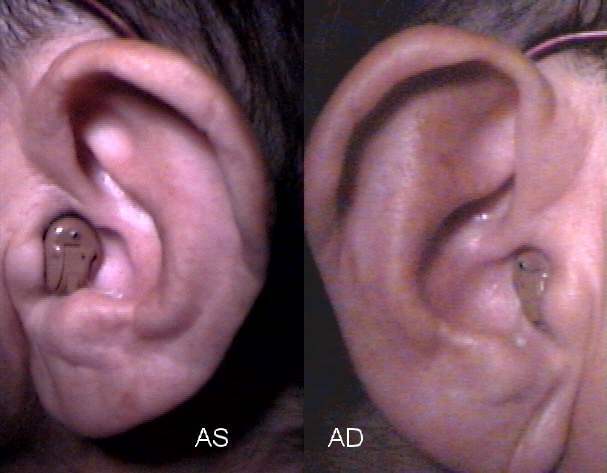 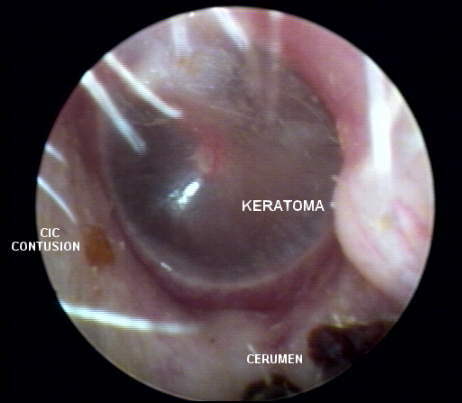 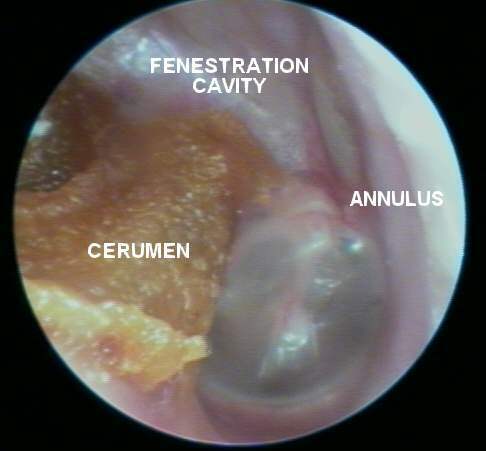 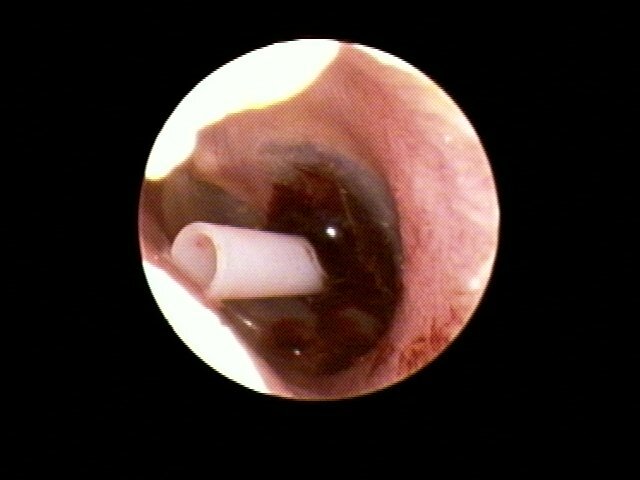 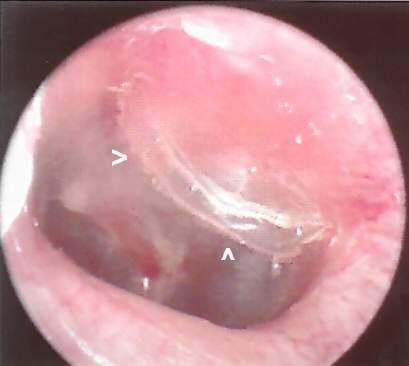 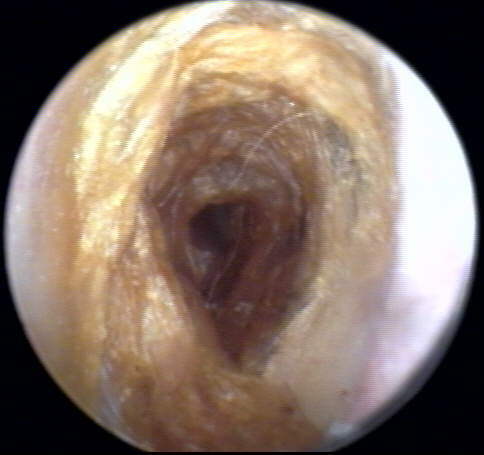 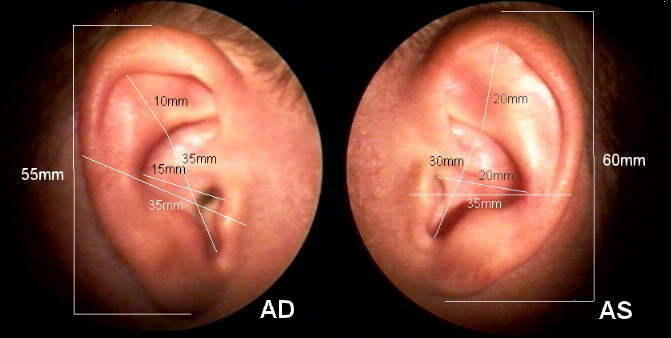 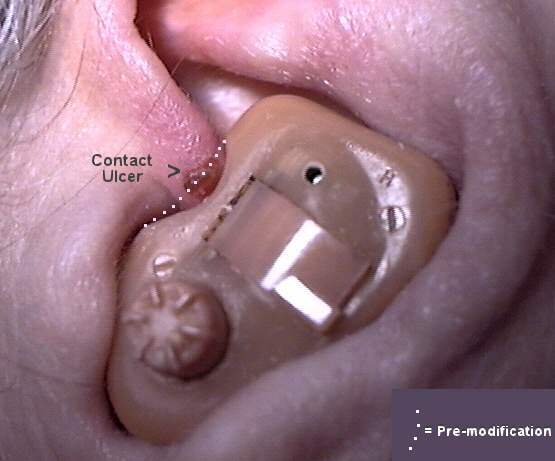 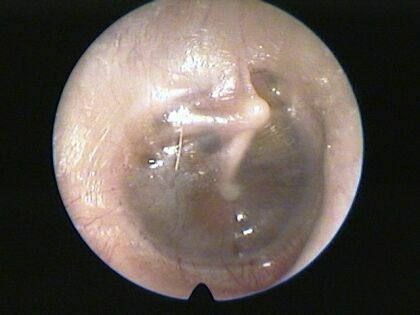 Otitis media, acure (2), AD Courtesy of Vladimir Zlinsky, M.D., ORL Clinic, Czech Republic. 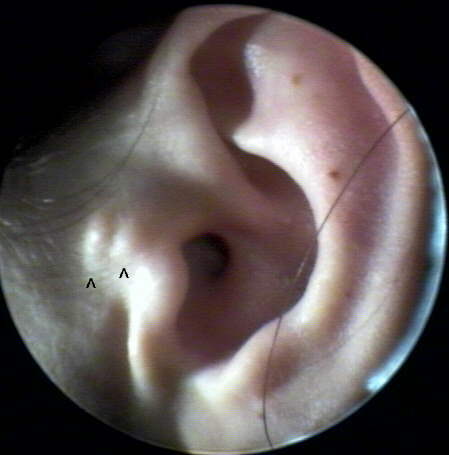 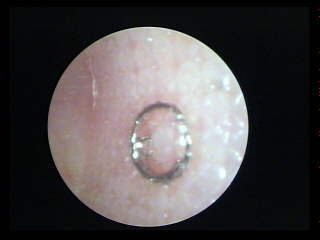 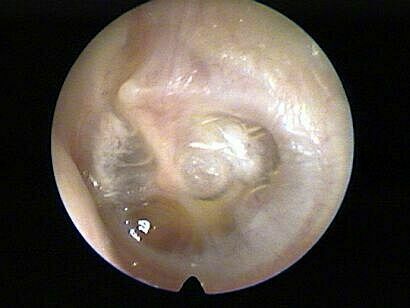 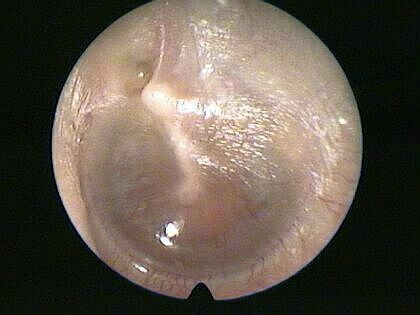 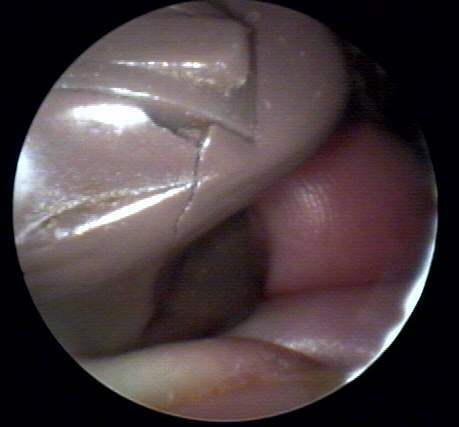 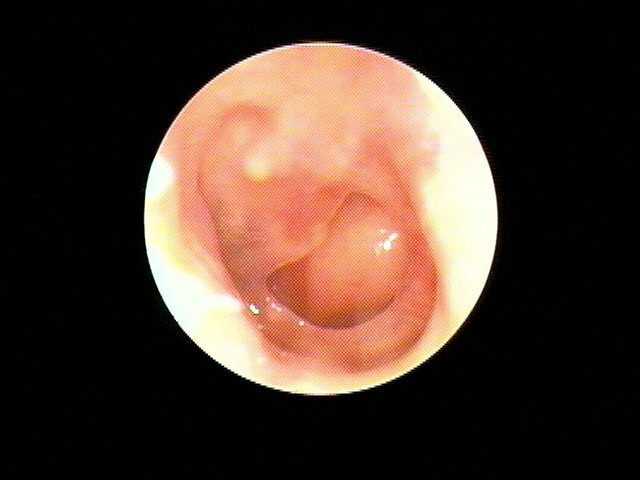 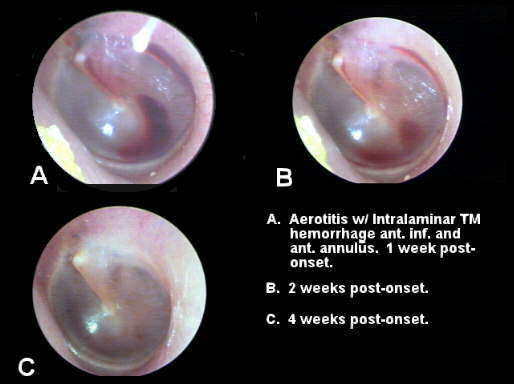 Otitis media in regression, AS (1) Courtesy of Vladimir Zlinsky, M.D., ORL Clinic, Czech Republic. 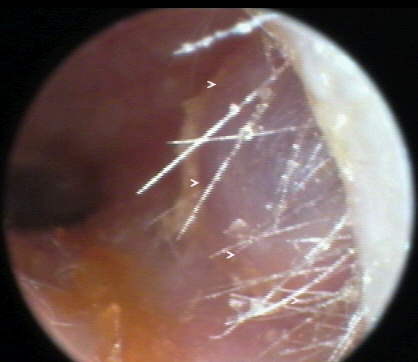 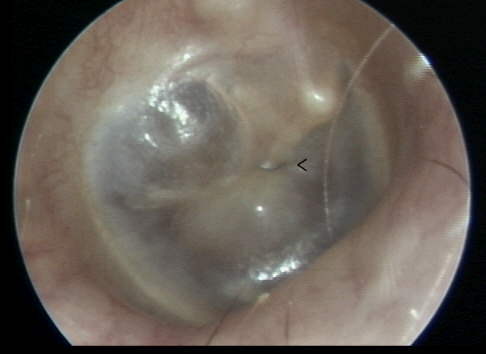 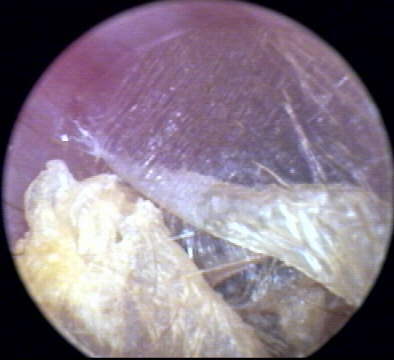 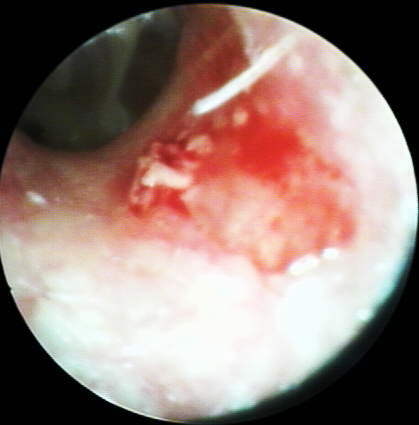 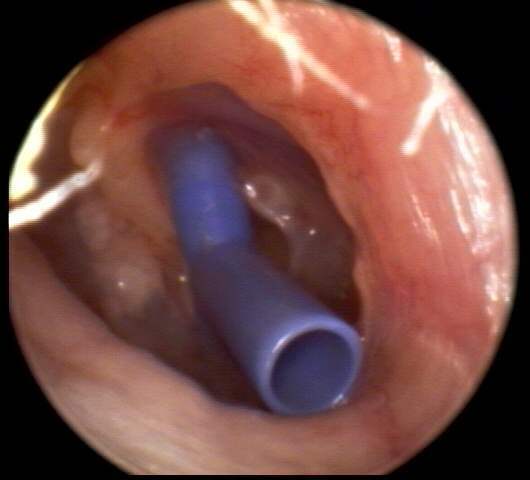 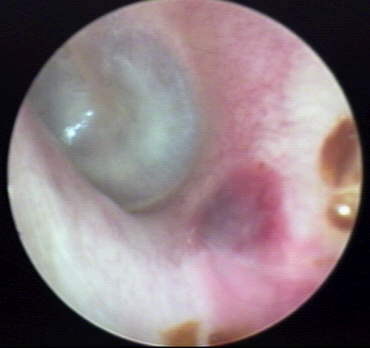 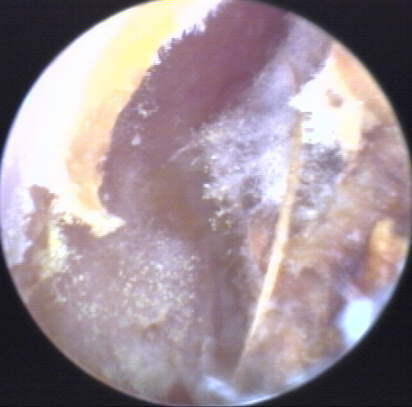 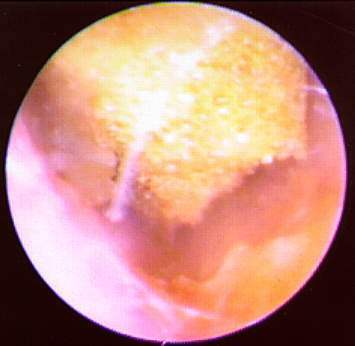 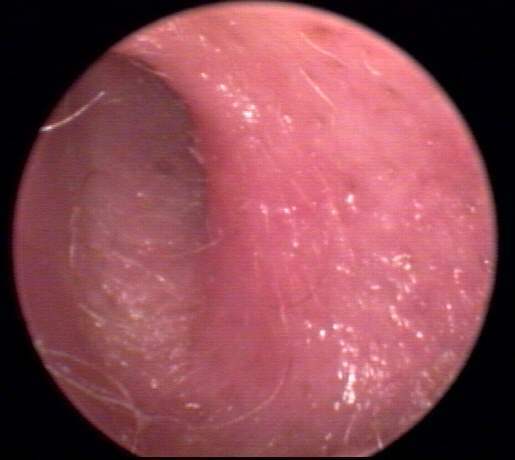 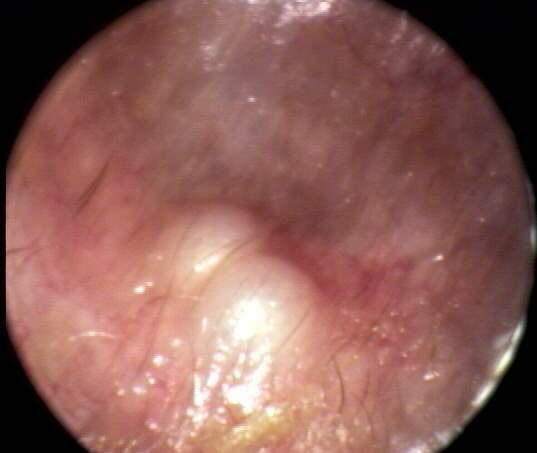 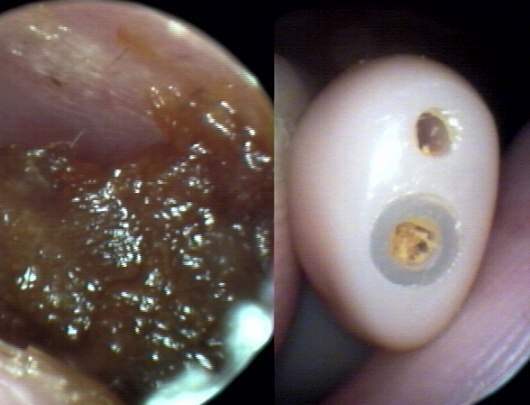 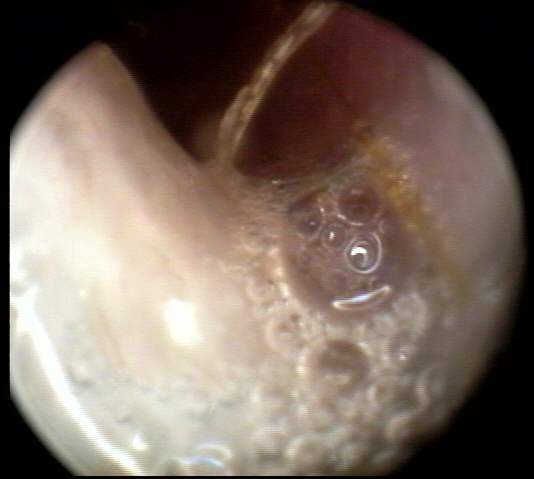 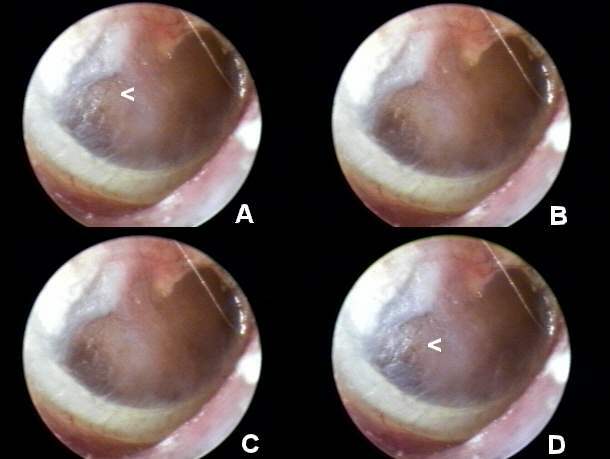 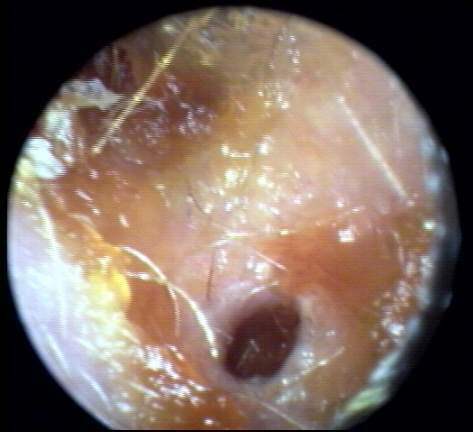 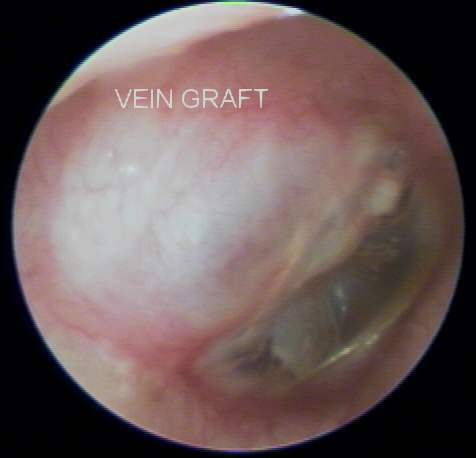 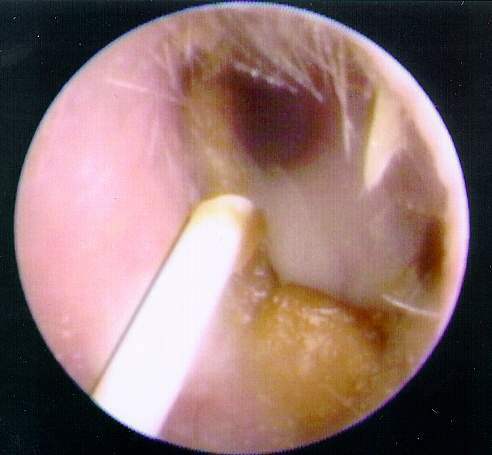 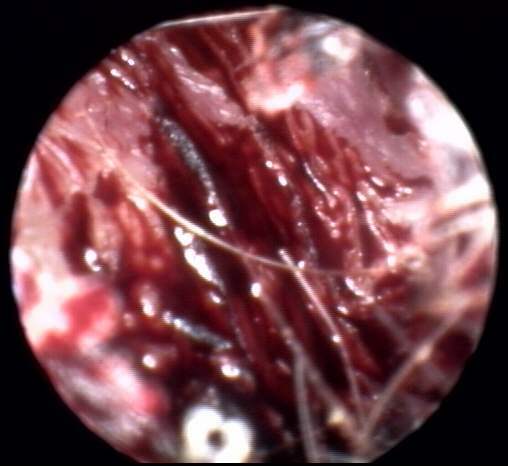 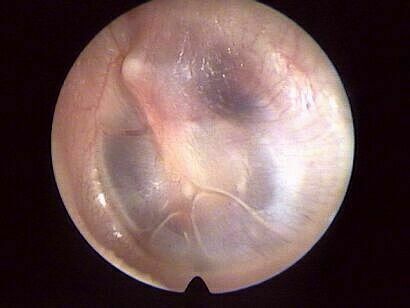 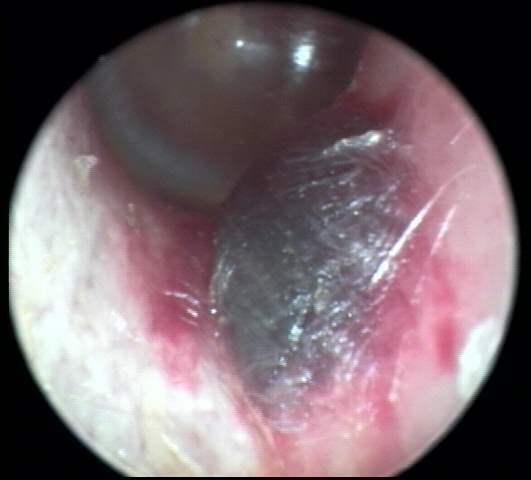 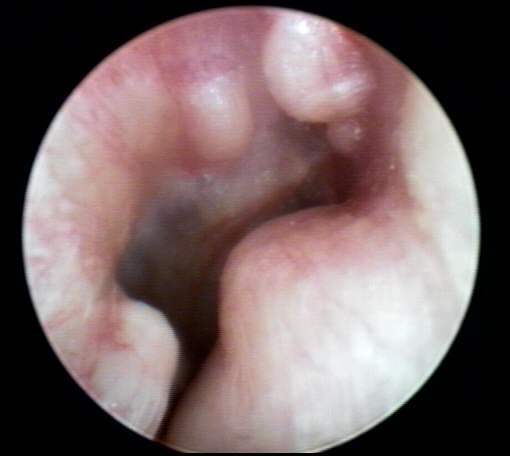 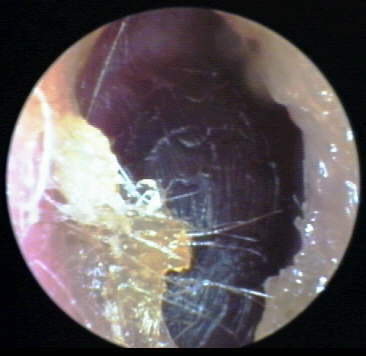 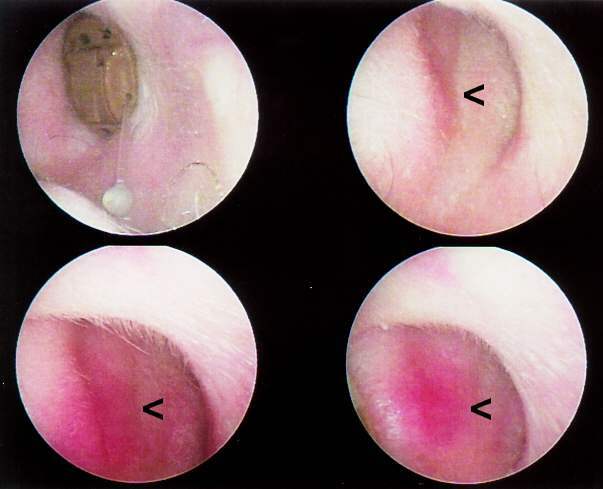 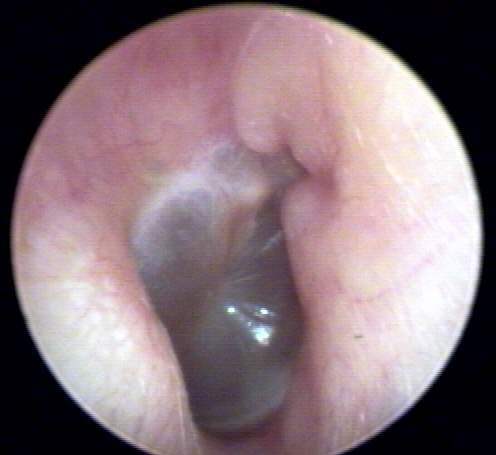 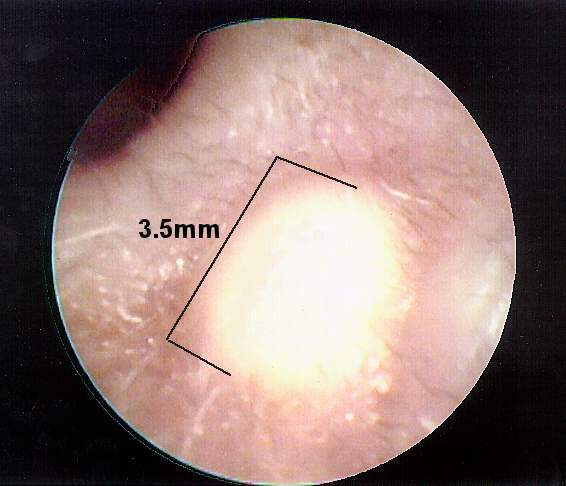 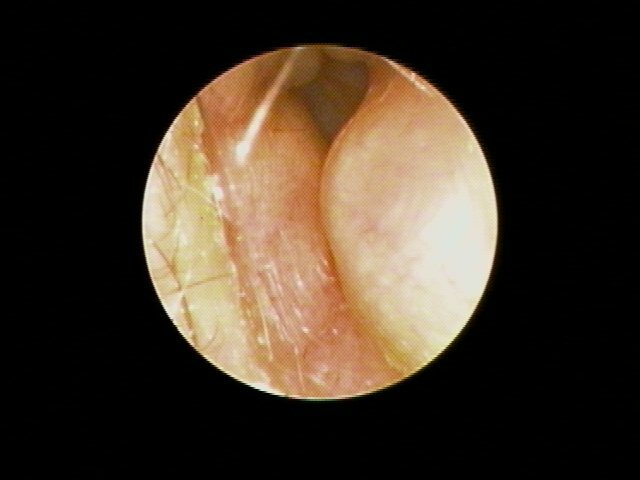 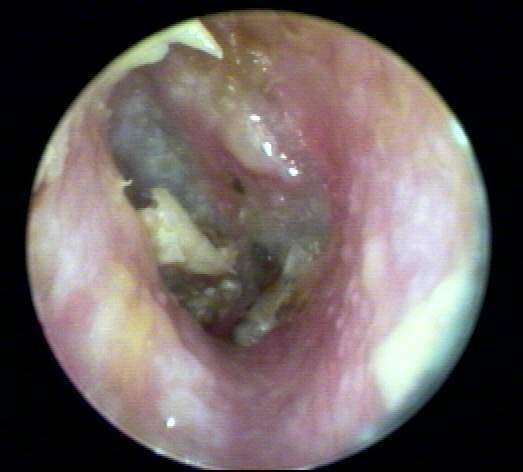 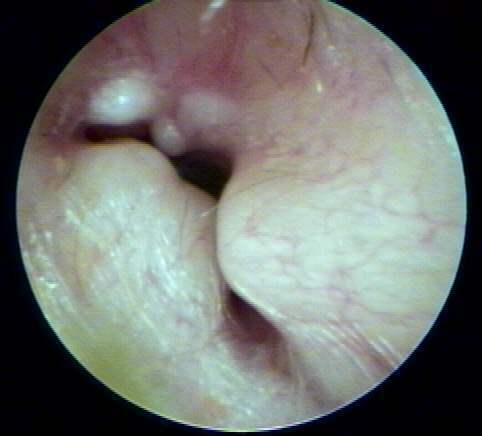 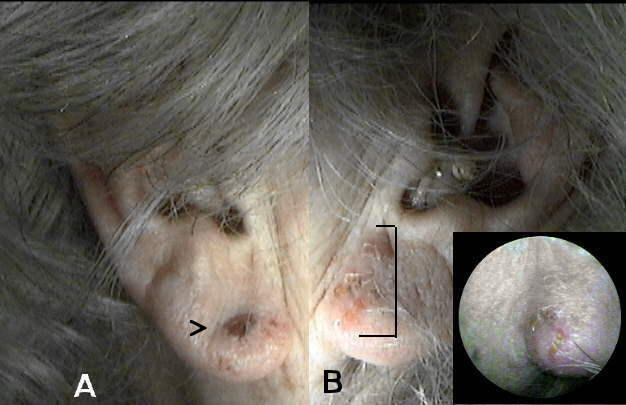 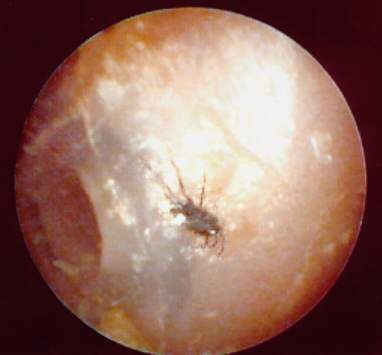 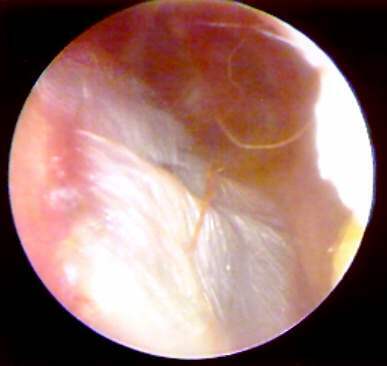 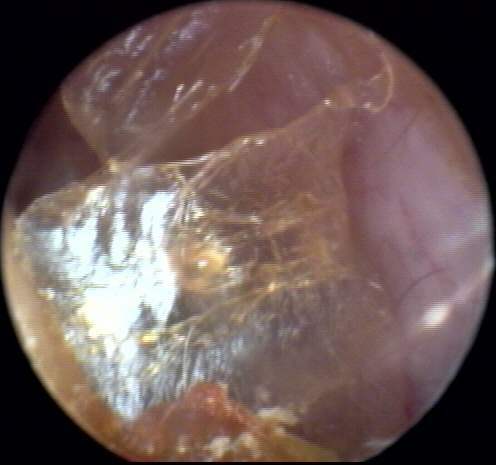 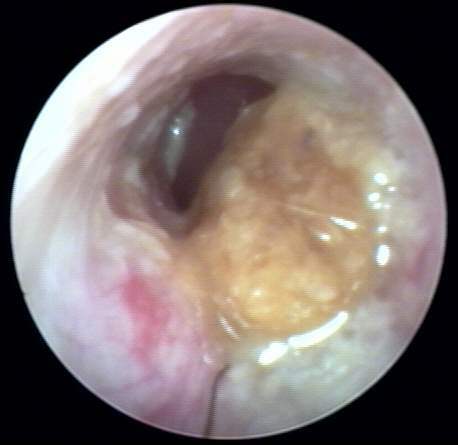 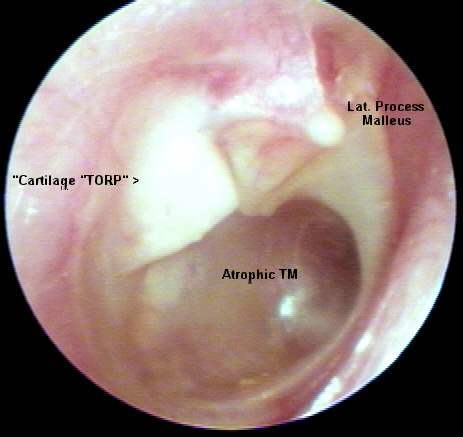 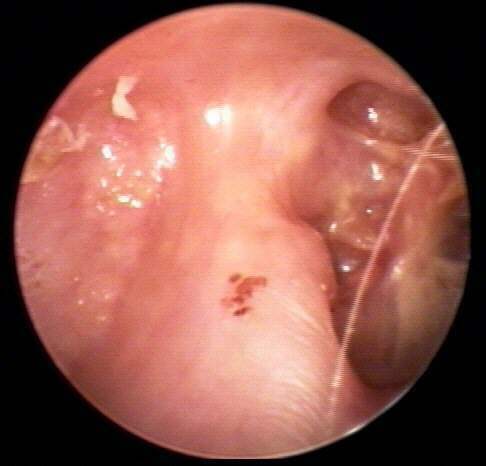 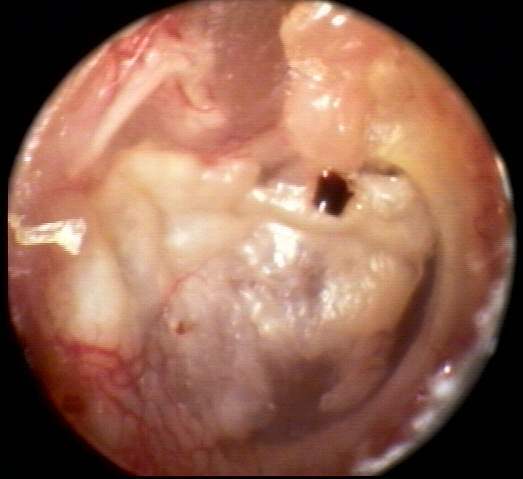 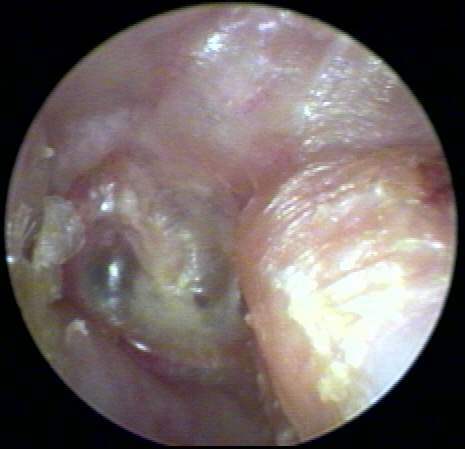 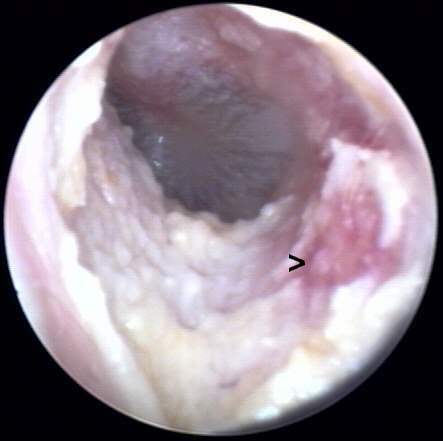 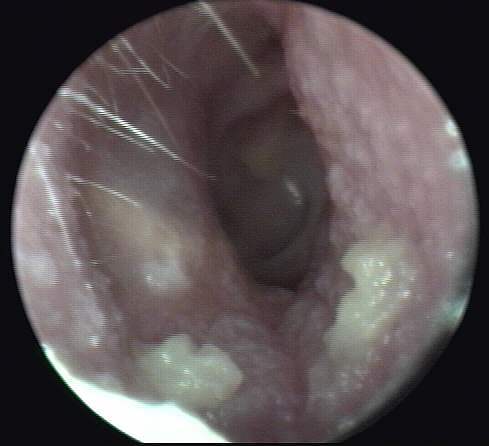 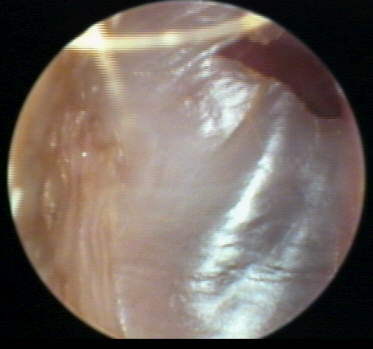 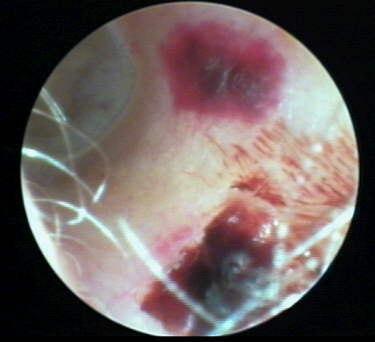 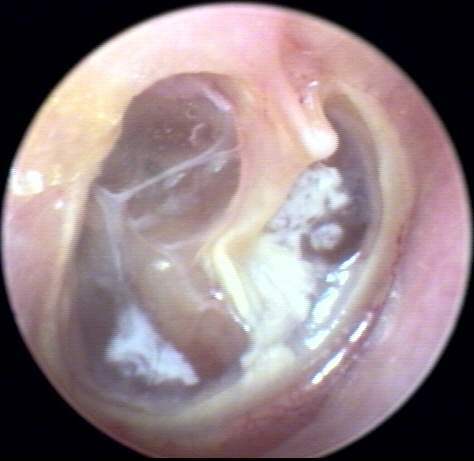 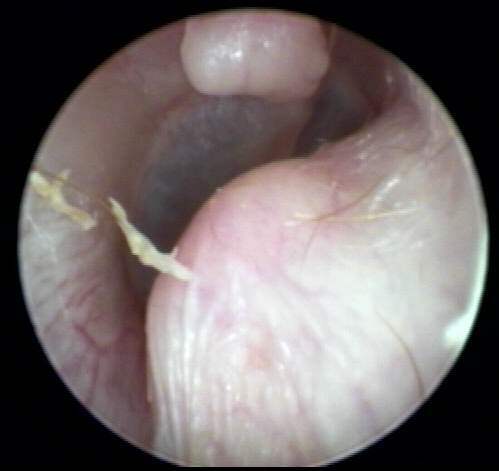 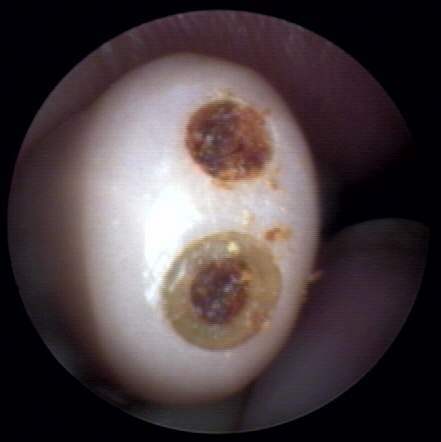 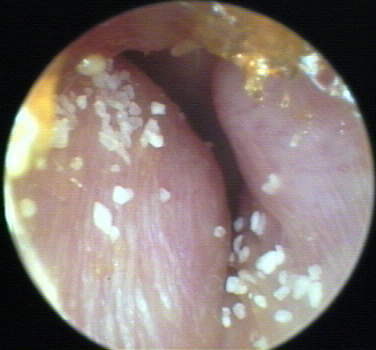 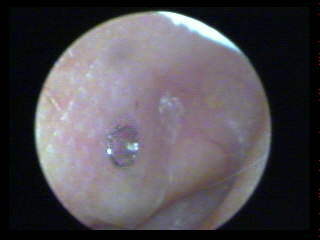 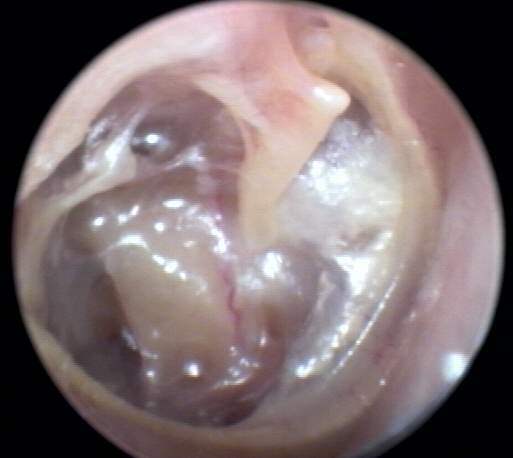 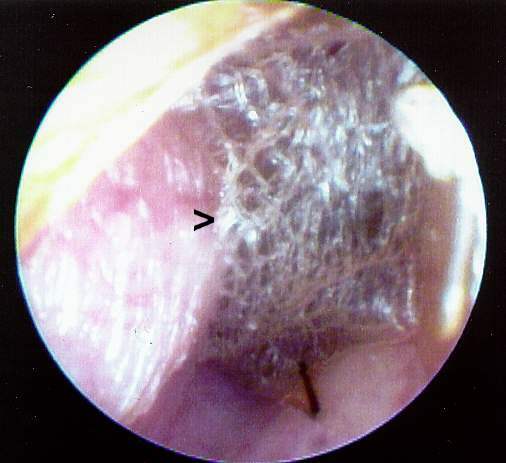 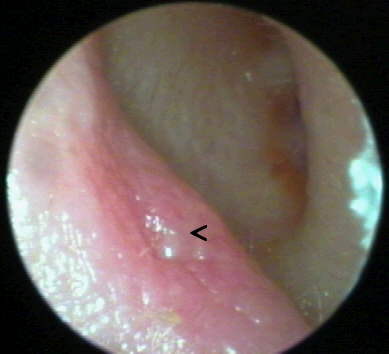 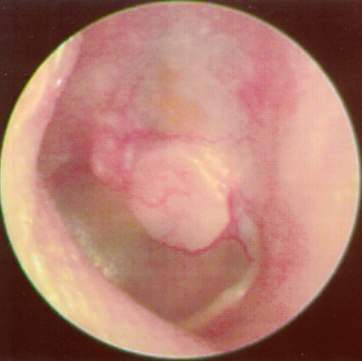 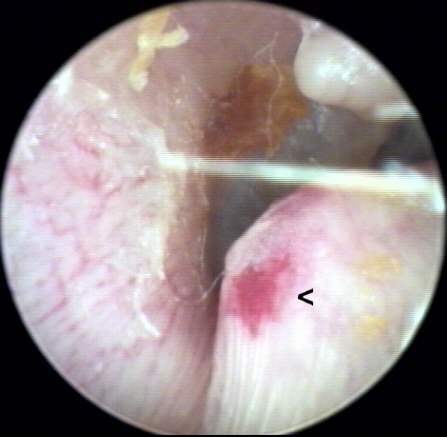 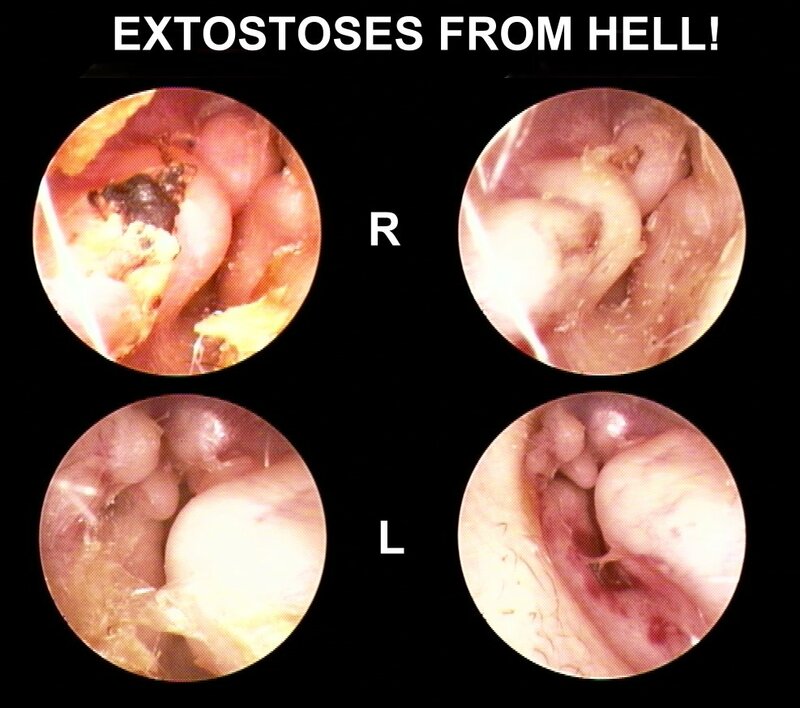 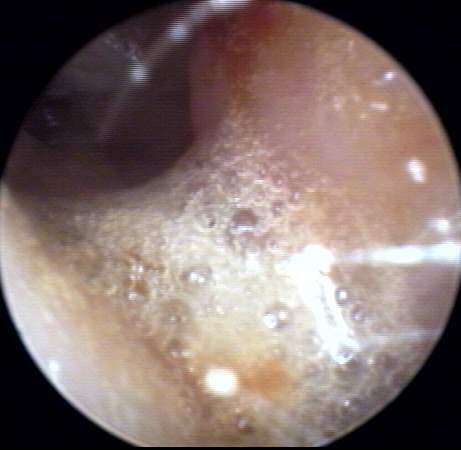 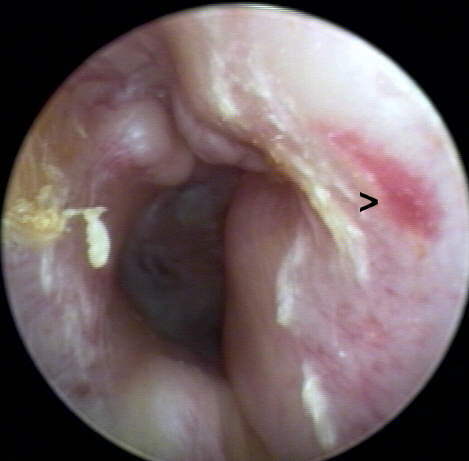 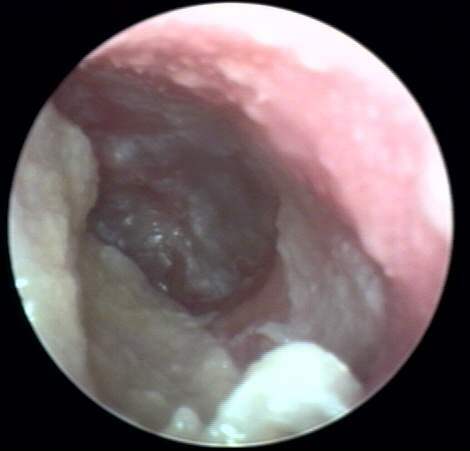 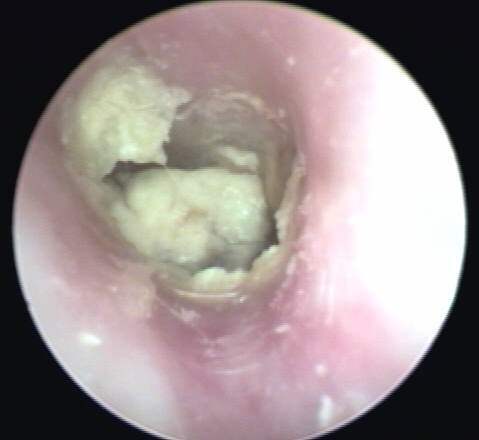 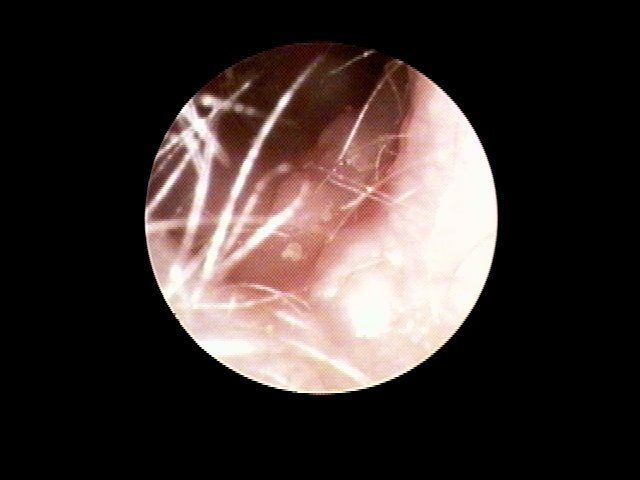 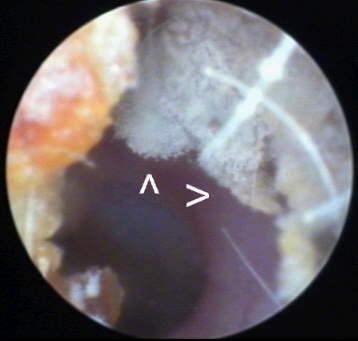 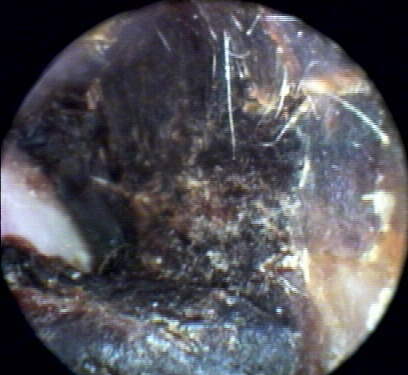 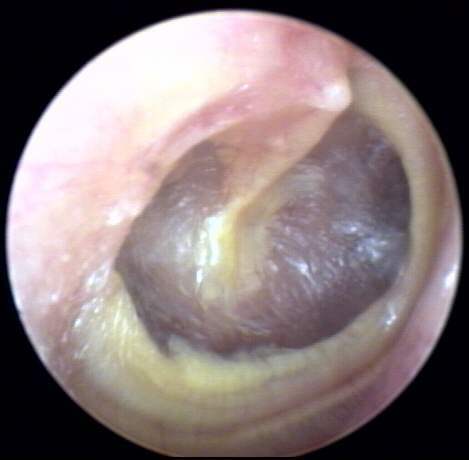 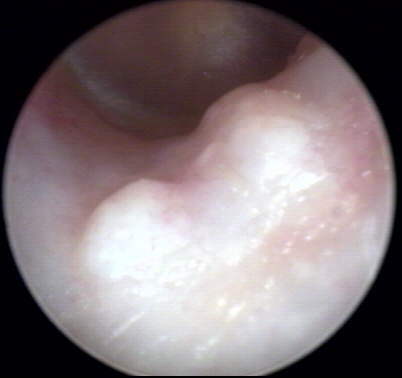 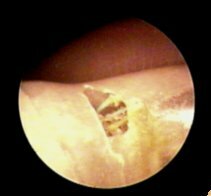 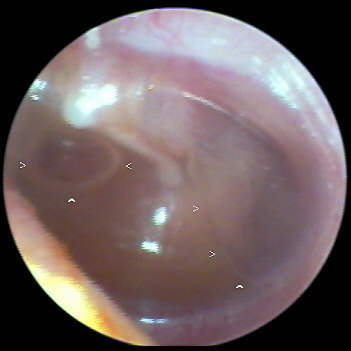 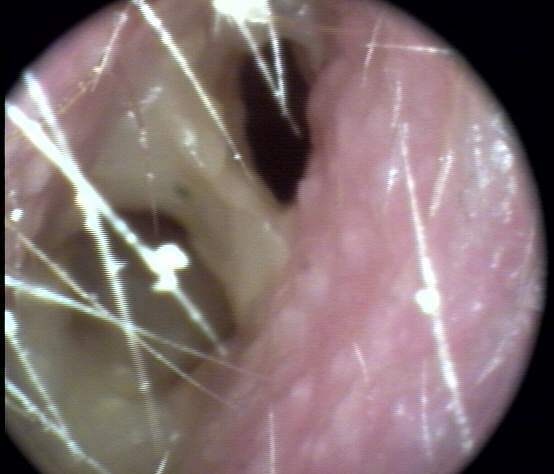 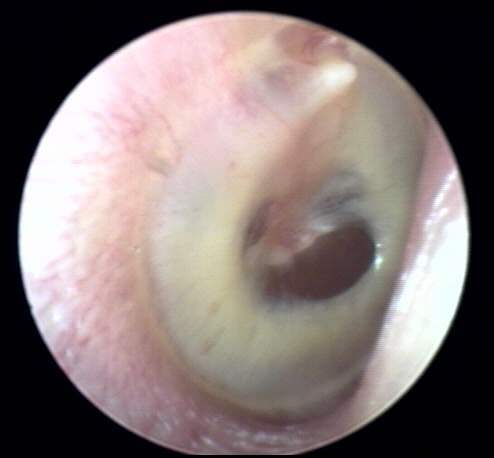 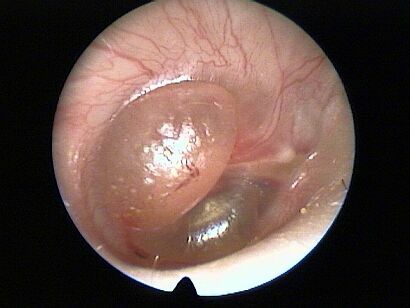 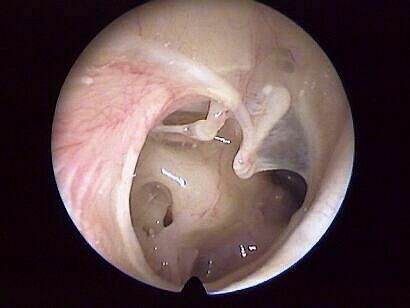 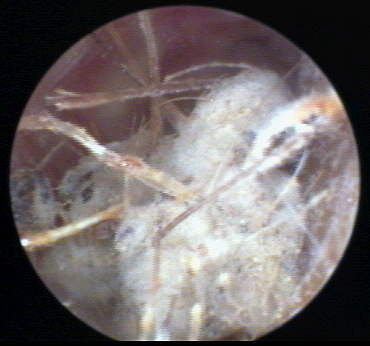 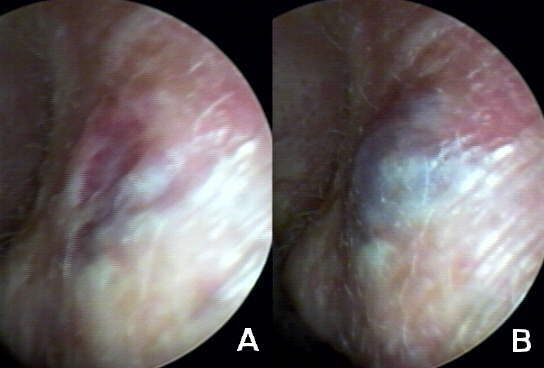 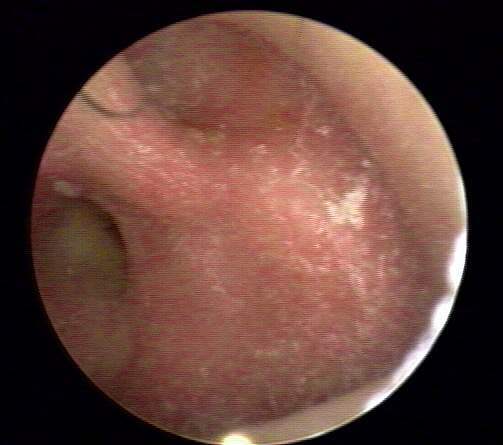 Otitis media in regression, AS (2) Courtesy of Vladimir Zlinsky, M.D., ORL Clinic, Czech Republic. 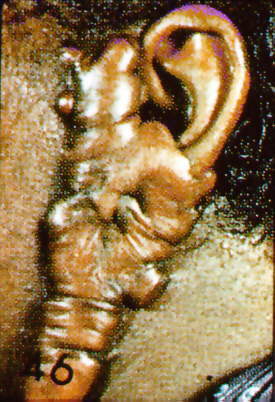 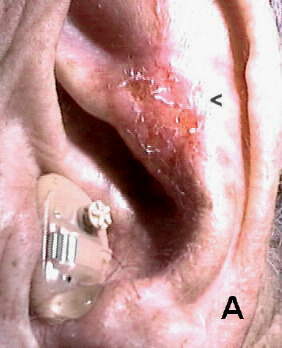 Glue ear (1) AS. 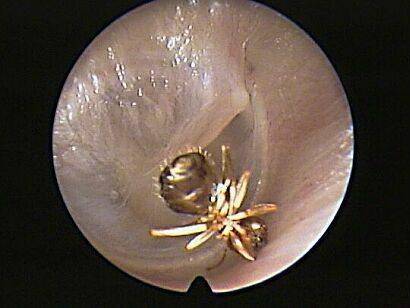 Courtesy of Vladimir Zlinsky, M.D., ORL Clinic, Czech Republic. 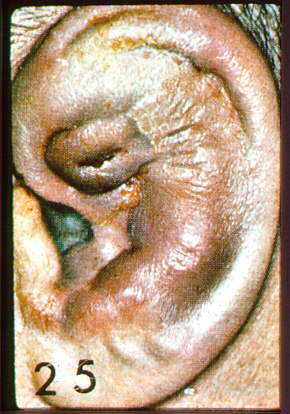 Glue ear (2) AD. 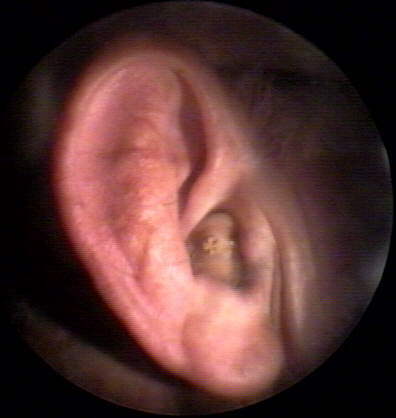 Courtesy of Vladimir Zlinsky, M.D., ORL Clinic, Czech Republic. 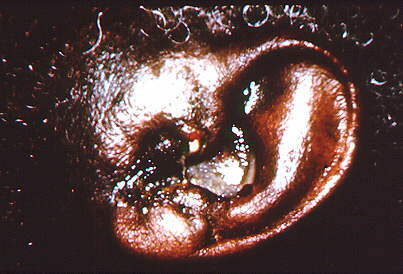 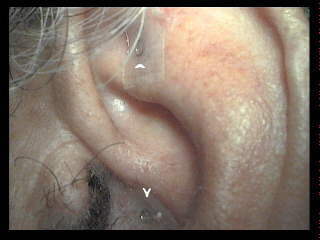 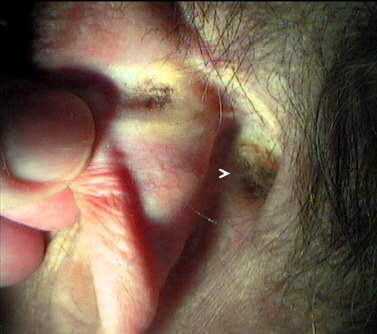 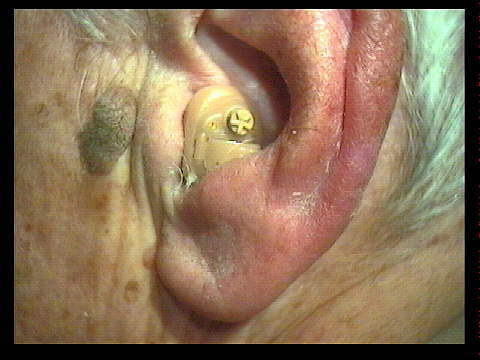 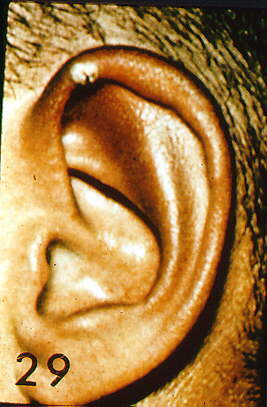 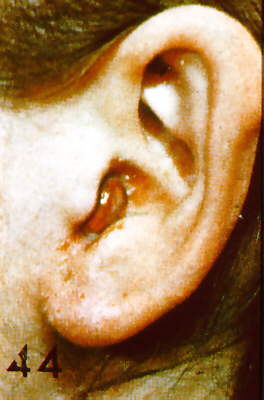 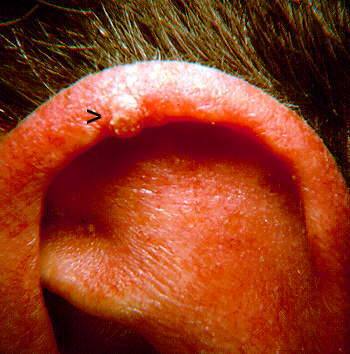 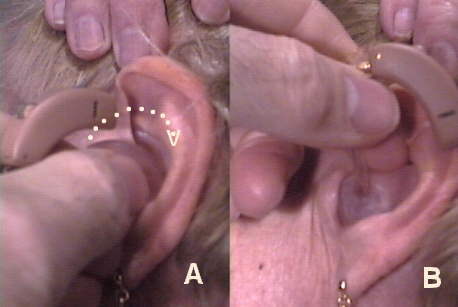 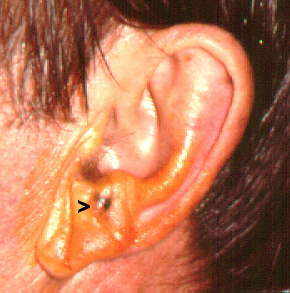 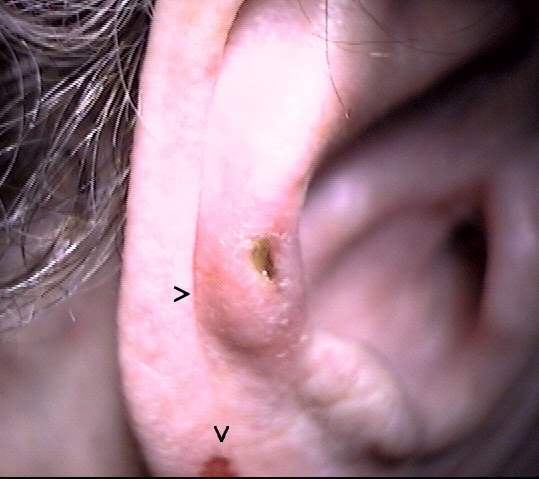 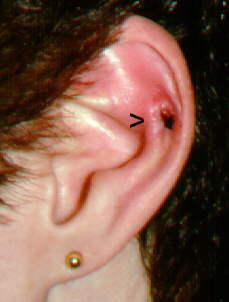 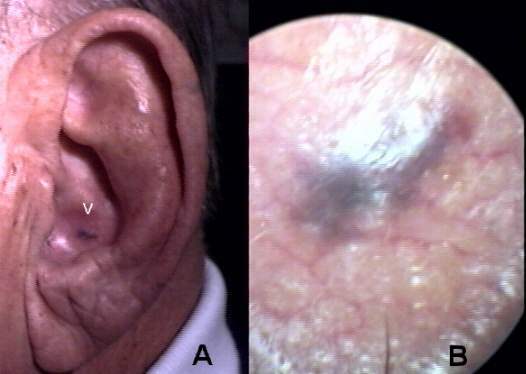 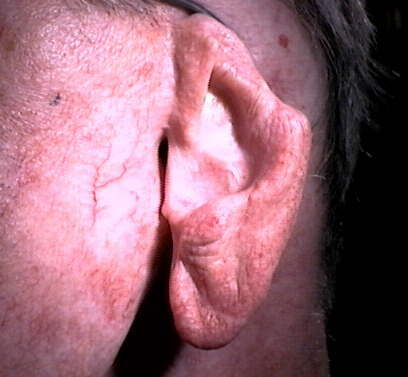 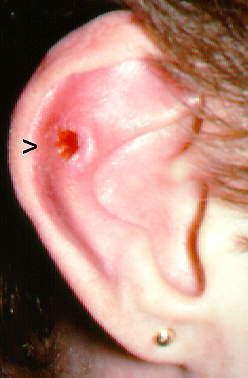 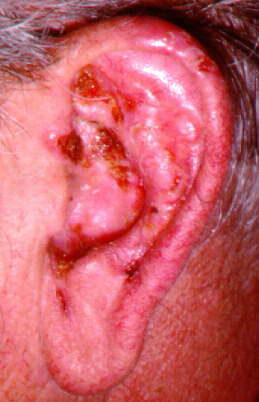 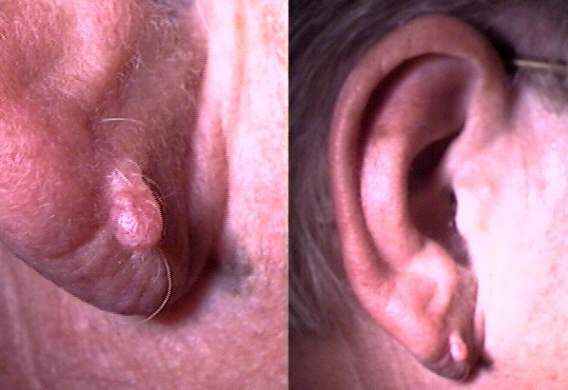 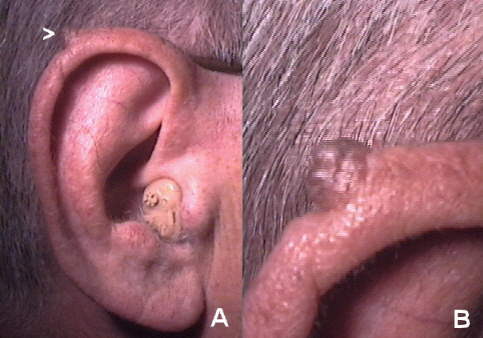 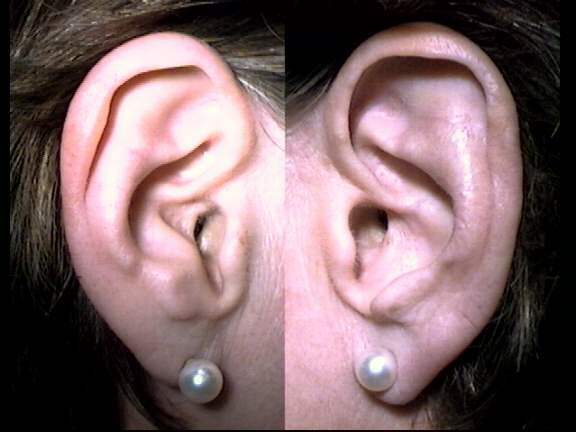 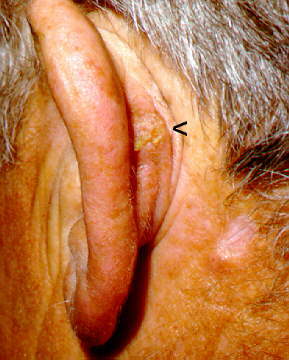 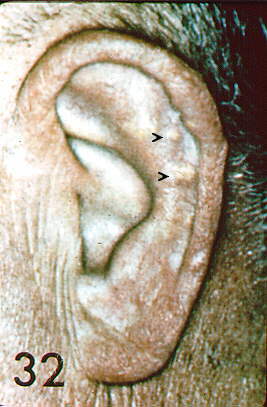 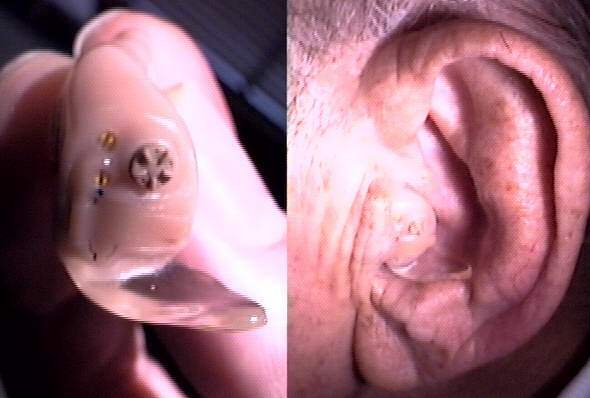 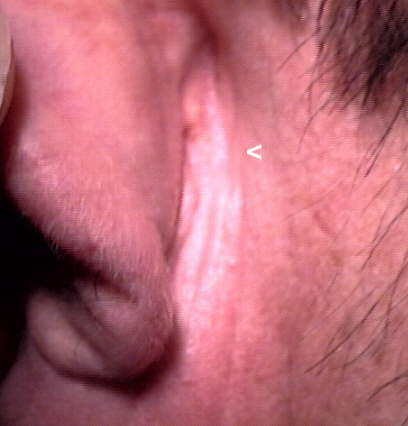 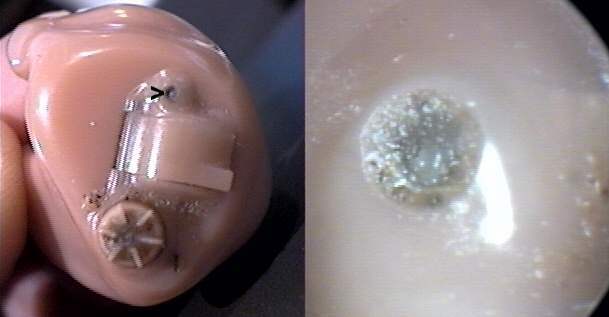 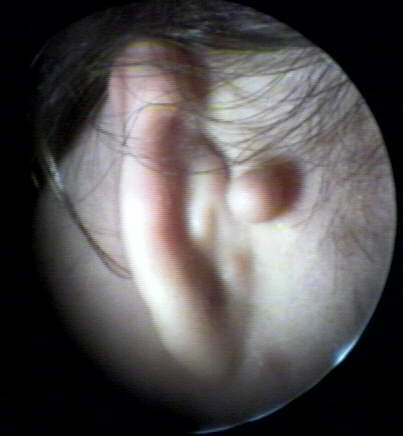 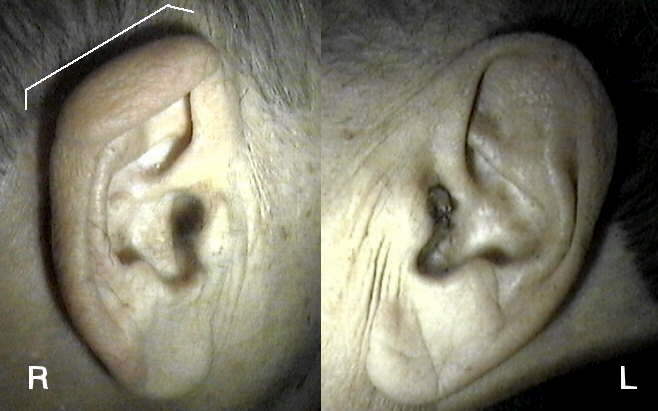 Glue ear (3) AS Courtesy of Vladimir Zlinsky, M.D., ORL Clinic, Czech Republic. 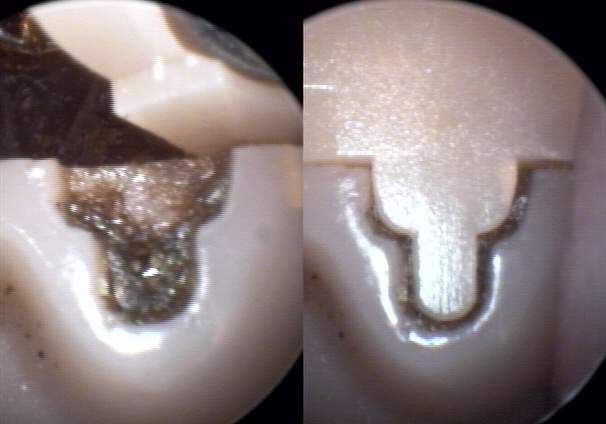 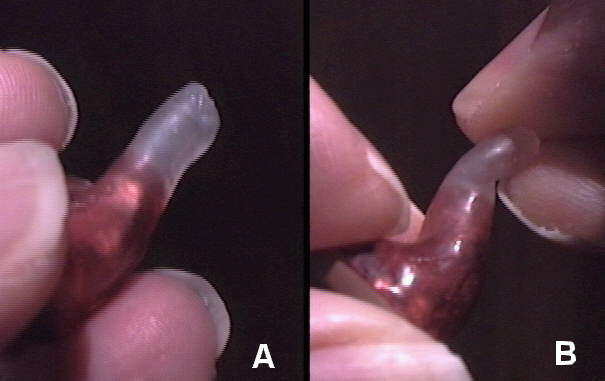 Spontaneous extrusion of occluding solidus from PE tube: A) PE tube occluded (20k); B) Solidus extruded from PE tube in medial inferior external canal. 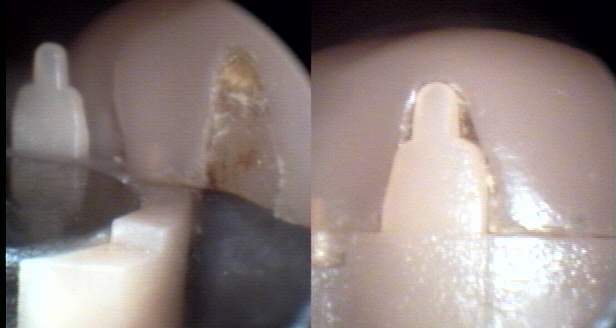 (20k) ; C) Combined view of A) and B)(14k). 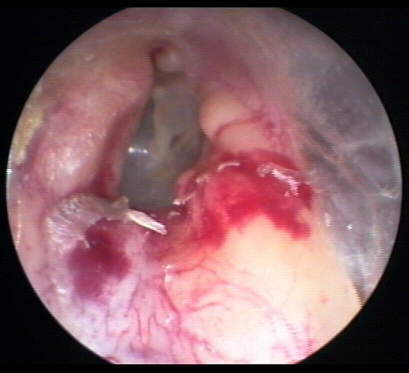 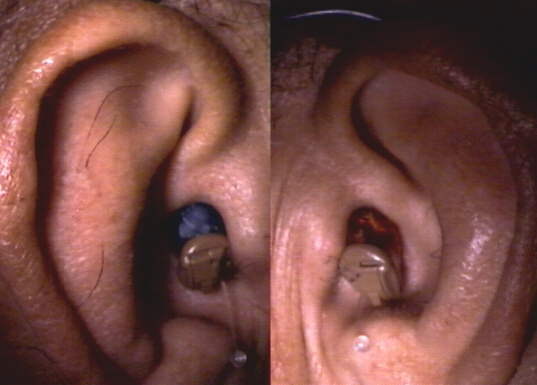 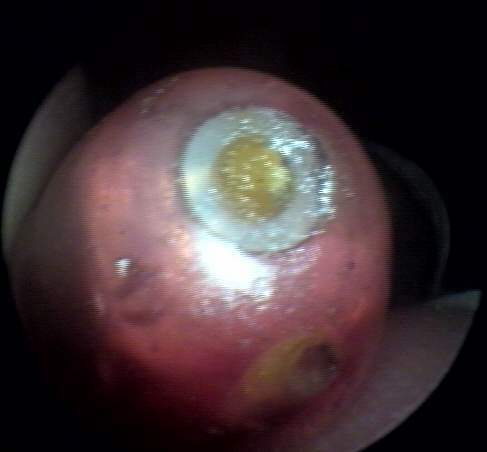 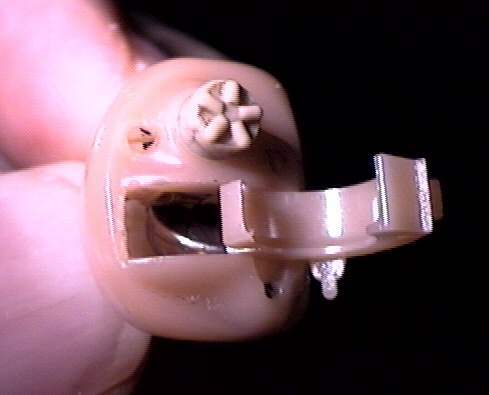 Post-auricular simple mastoidectomy bowl / scar, AS (24k).....CASE STUDY (HOEL0921). 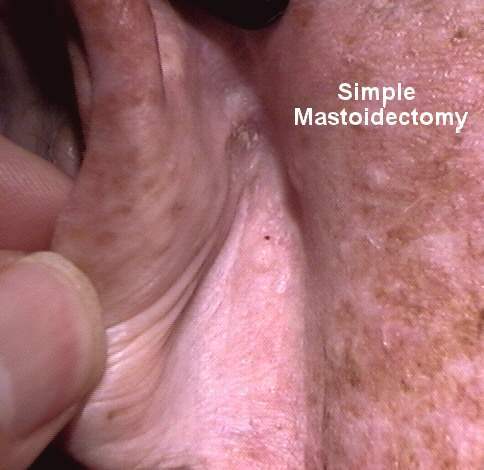 Endaural simple (takedown) mastoidectomy AD performed by Julius Lempert in 1933 on 4y. 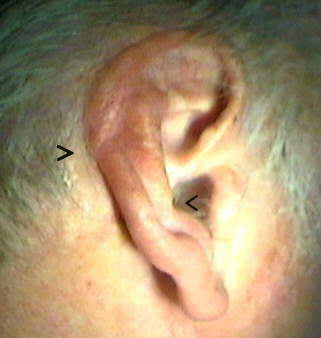 F; now age 72. 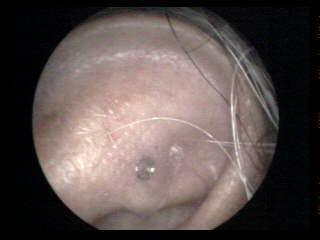 Traumatic perforation, AS, posterior inferior quadrant. 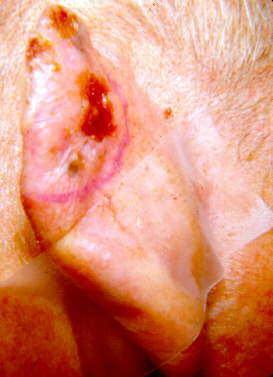 F., blow to face Courtesy of Vladimir Zlinsky, M.D., ORL Clinic, Czech Republic. 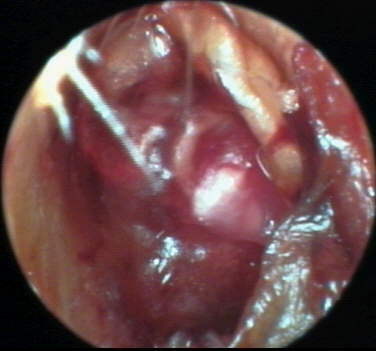 Recent dual traumatic perforations; AD...CASE STUDY (BYU3) Courtesy of Richard W. Harris, Ph.D., Brigham Young University; Provo, UT. 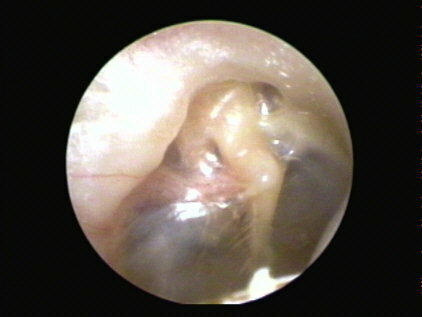 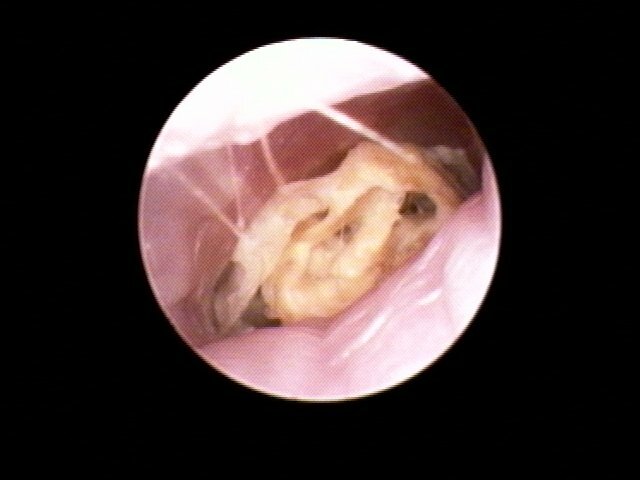 Subtotal perforation, AS, with vivid ossicular display, R/O windows. 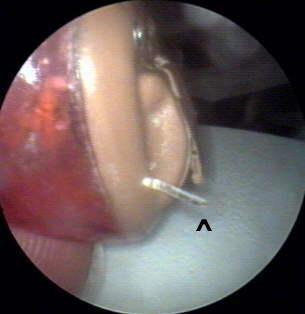 Courtesy of Vladimir Zlinsky, M.D., ORL Clinic, Czech Republic. 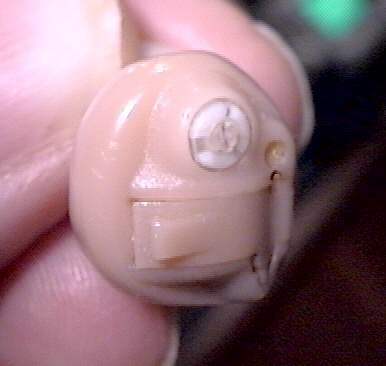 Economical resources for EJA 21V/150W VO replacement bulbs (LP $36.50 ea.) 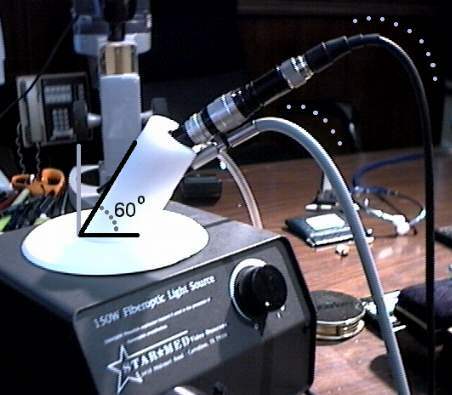 U.S.Technologies Sale Price as of 5/15/01: $17.35 + shipping (800-958-2852 - no website); Interlight Corp. Sale price as of 05/15/01: $16.95, no shipping charge for orders over $150.00. 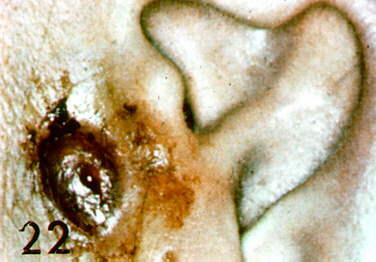 (800-743-0005). 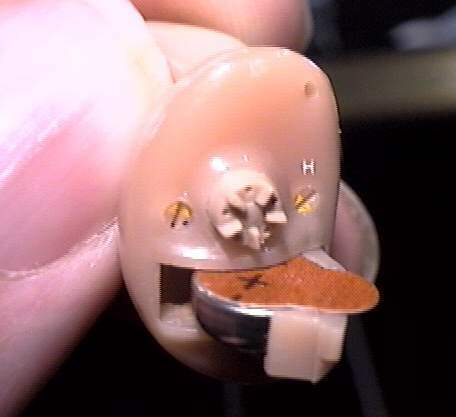 Call for price and availability on this and other VO bulbs. 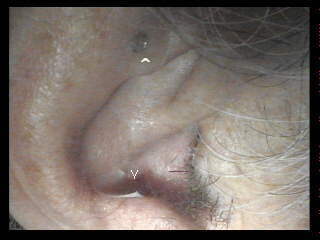 Please e-mail me about any non-responsive links or HTML defects on the website.